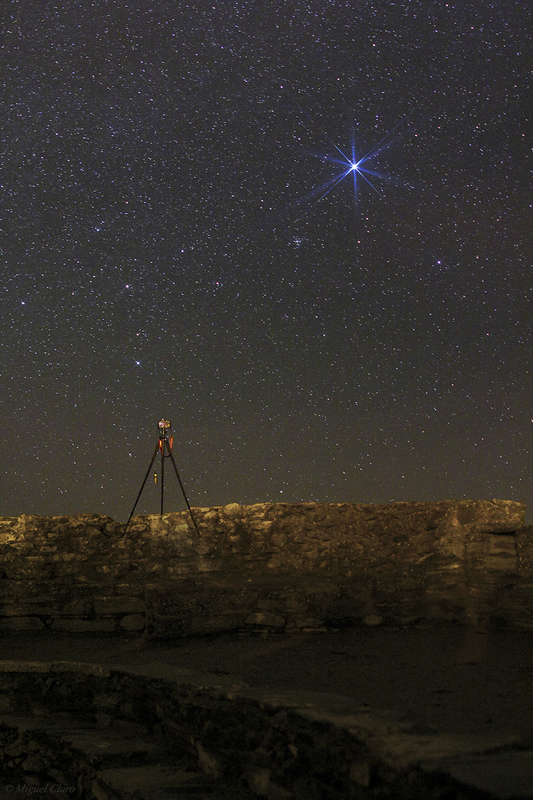 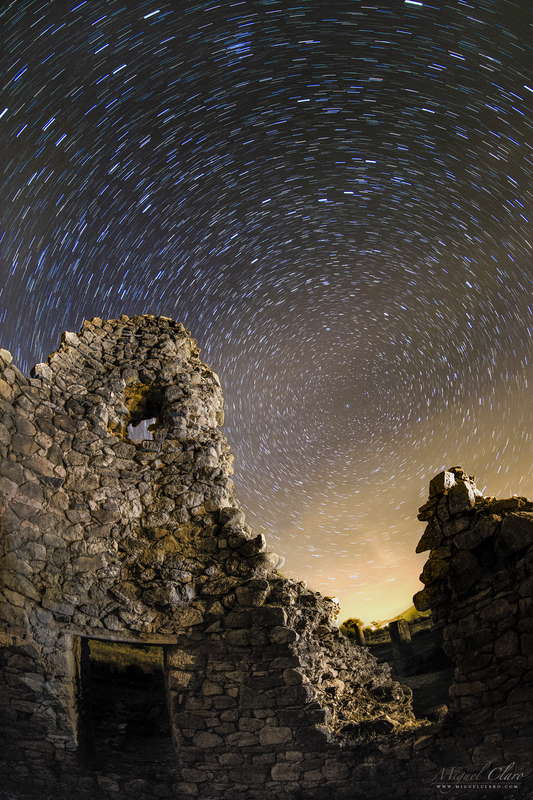 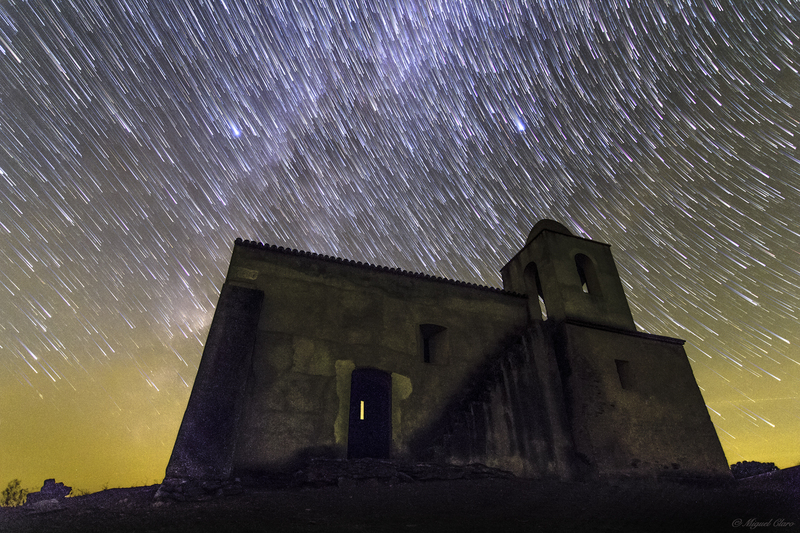 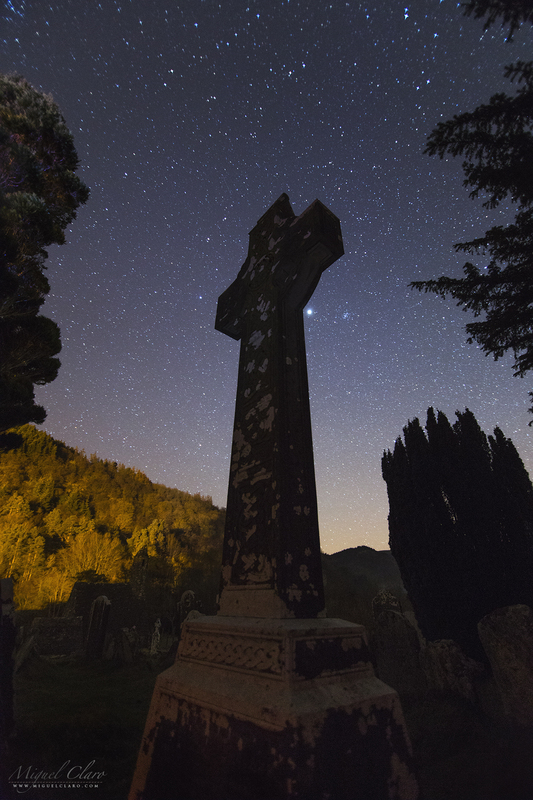 In the image we can see a startrail above the celtic church of St. Kevin’s. 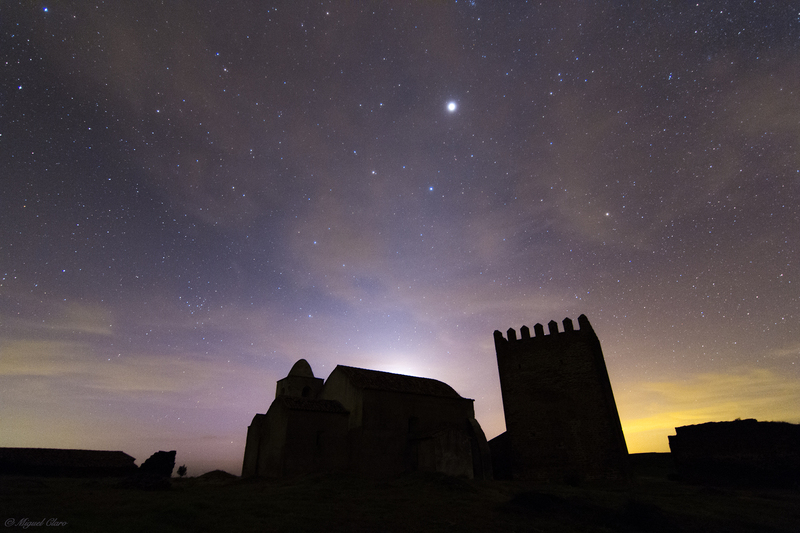 This church is unusual, it has a round tower or belfry with conical cap integrated with the church. Perhaps because of its small size, or the tower resembling a chimney, it is frequently called “St. 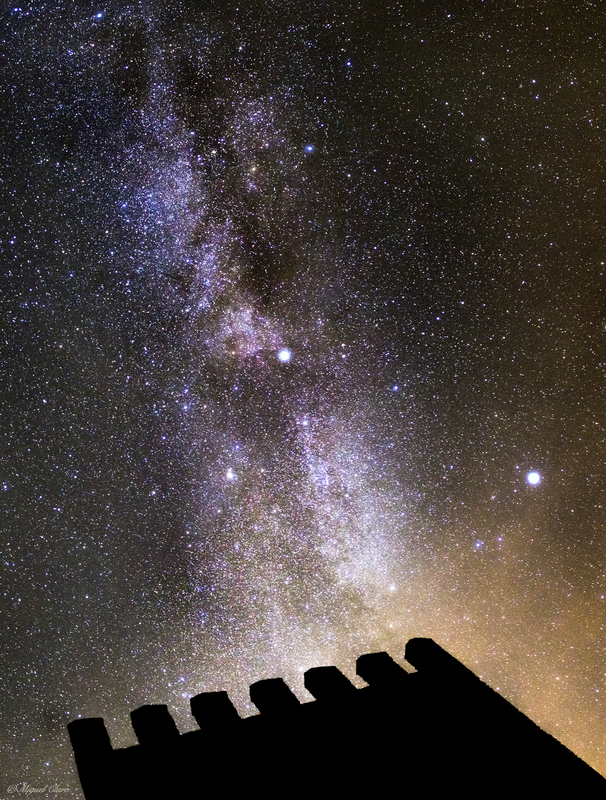 Kevin’s kitchen.” The tower is three stories high. 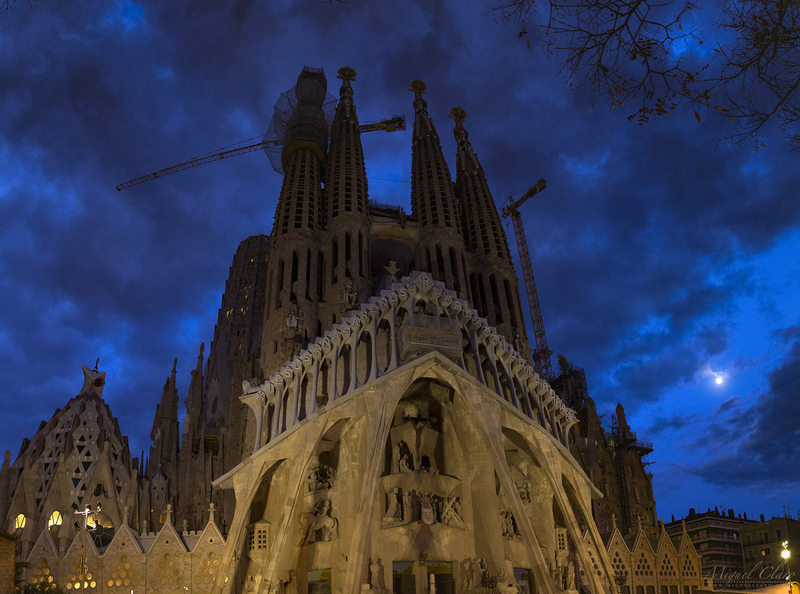 Some sources suggest that it was part of the original structure, others claim it originally had a nave only with an entrance at the west end. 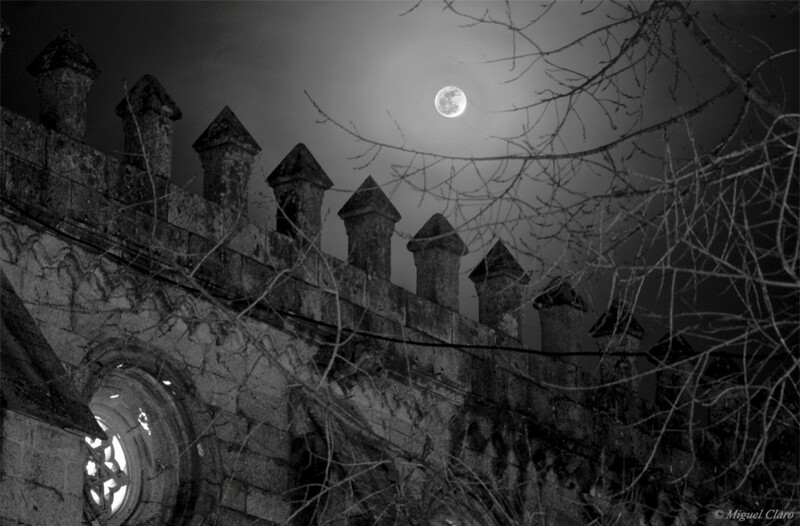 The upper part of the gable window can be seen above what became the chancel arch, when the chancel (now missing) and the sacristy were added later. 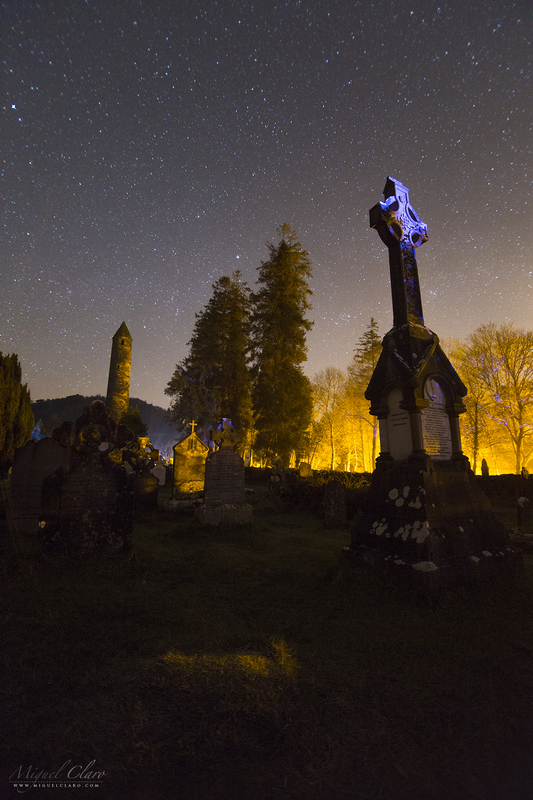 The steep roof has corbelled stones, similar to that atSt.Doolagh’s Church in Dublin and St. Columb’s Housein Kells. 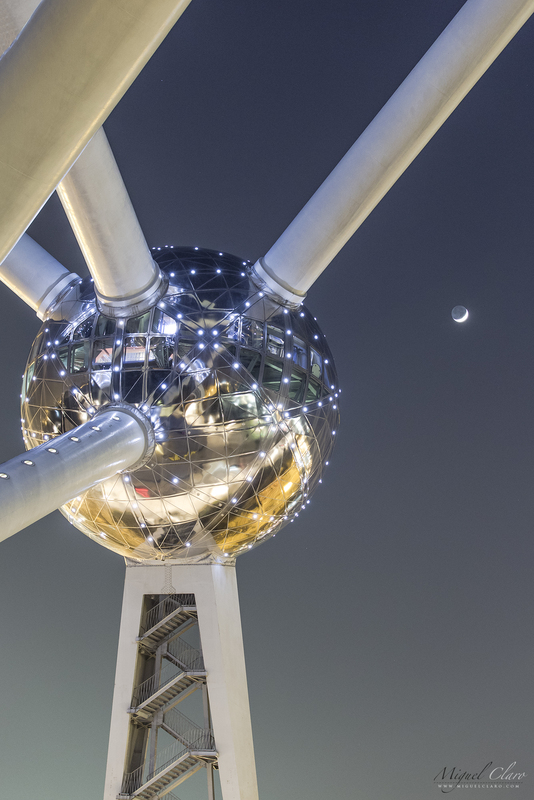 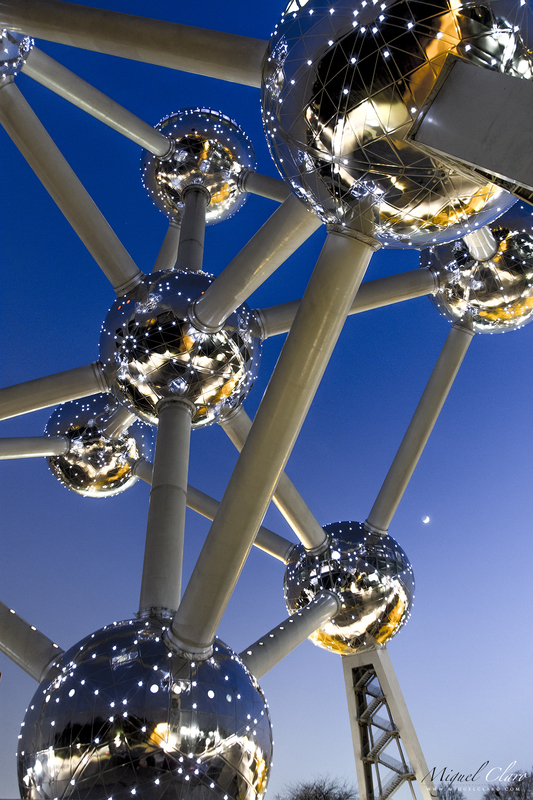 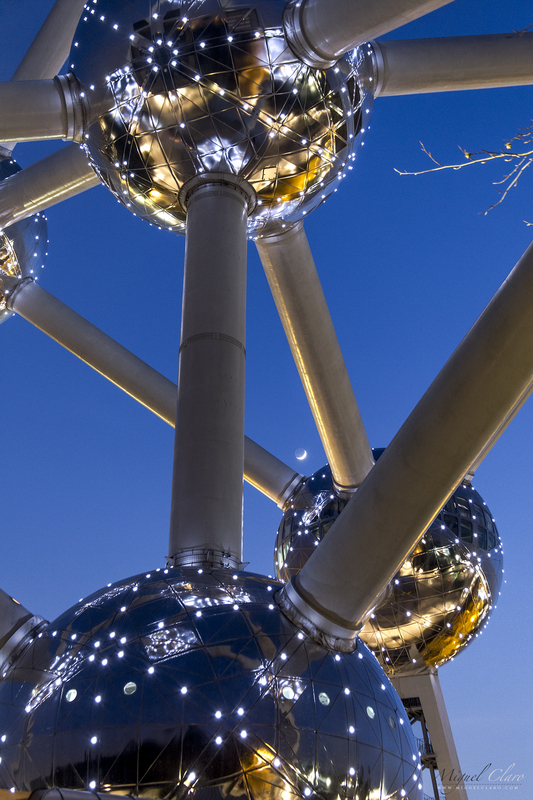 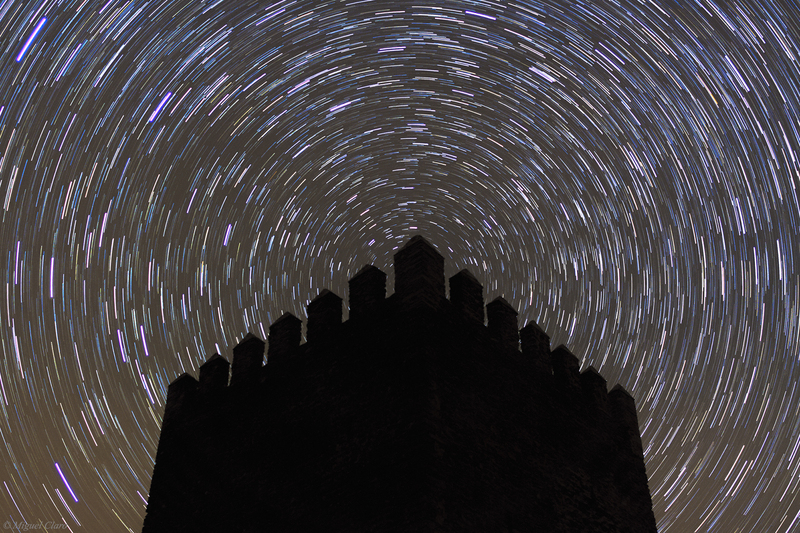 It is supported internally by a semi-circular vault. 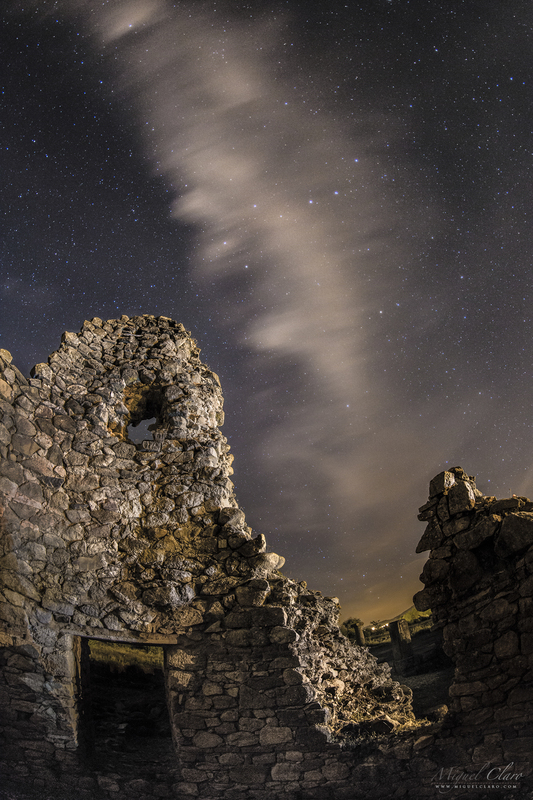 The church had a wooden upper floor and access to the roof chamber was through an opening at the western end of the vault. 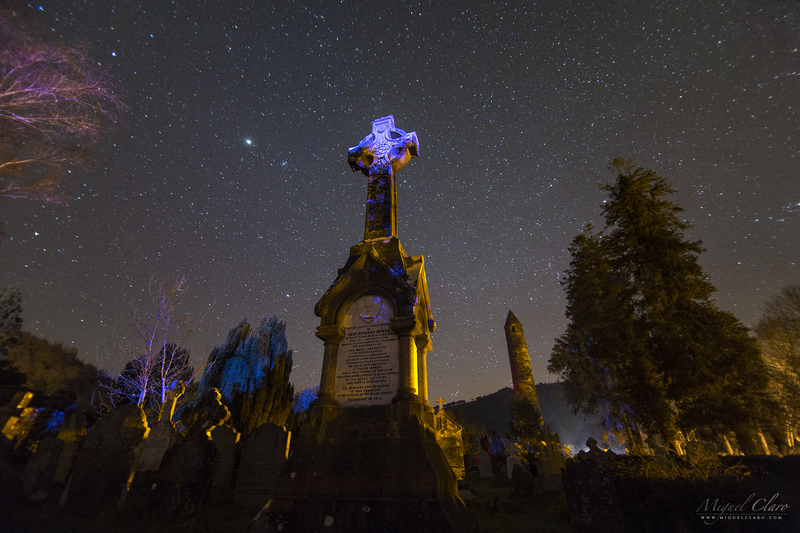 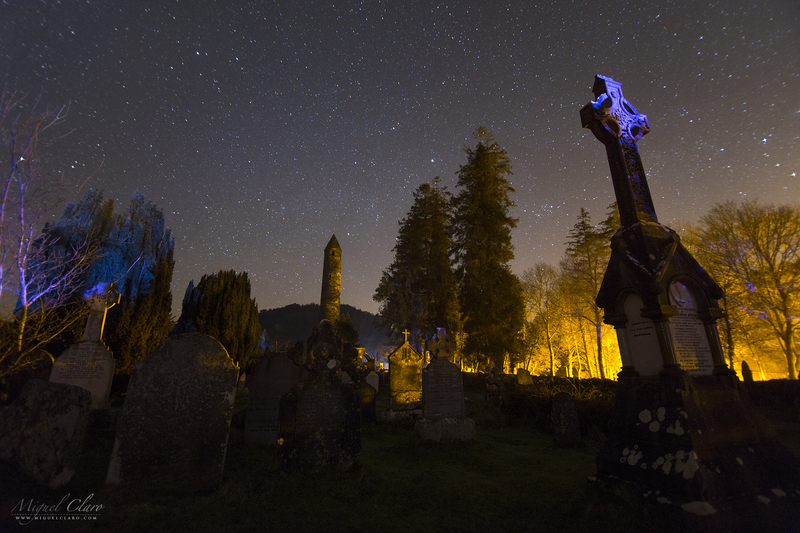 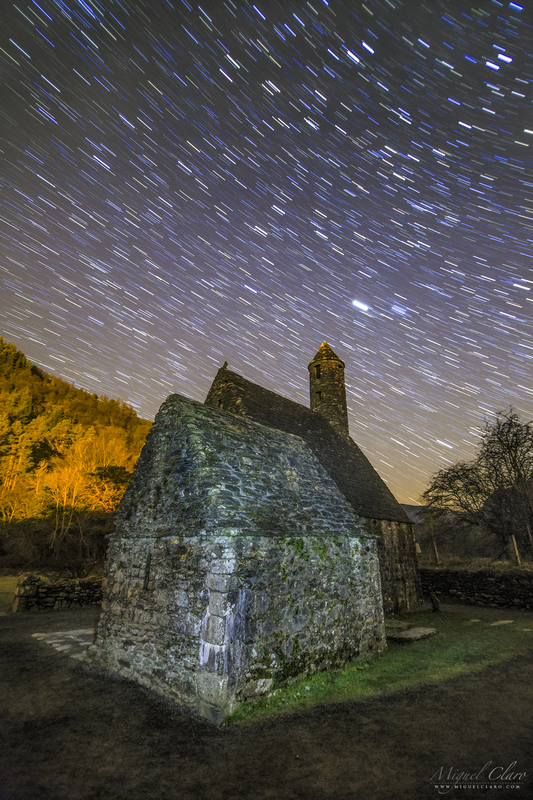 PT: Na imagem podemos ver um startrail acima da igreja celta de St. Kevin, em Glendalough, Irlanda. 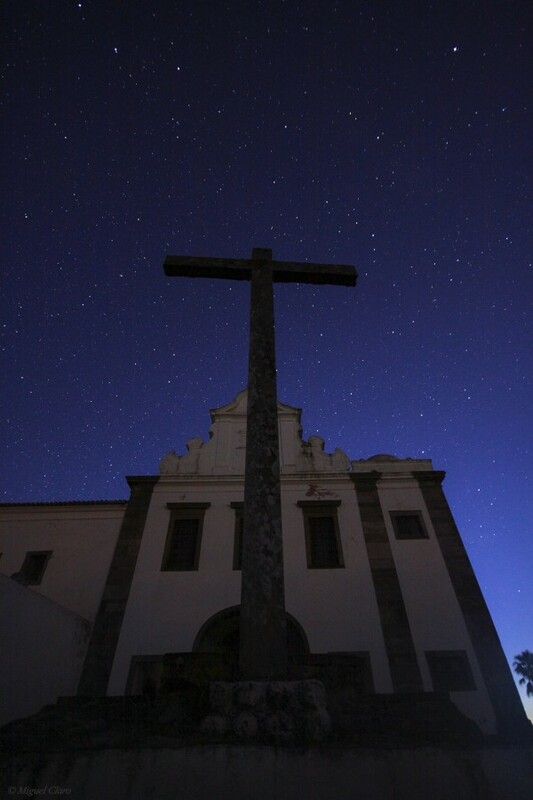 Esta incomum igreja tem uma torre redonda ou campanário com o tampão cónico integrado, sendo frequentemente apelidada de “cozinha de St. Kevin. 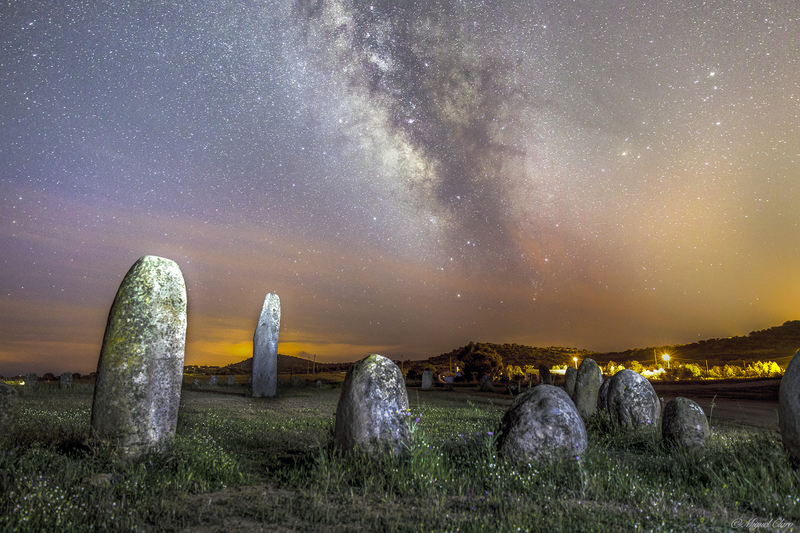 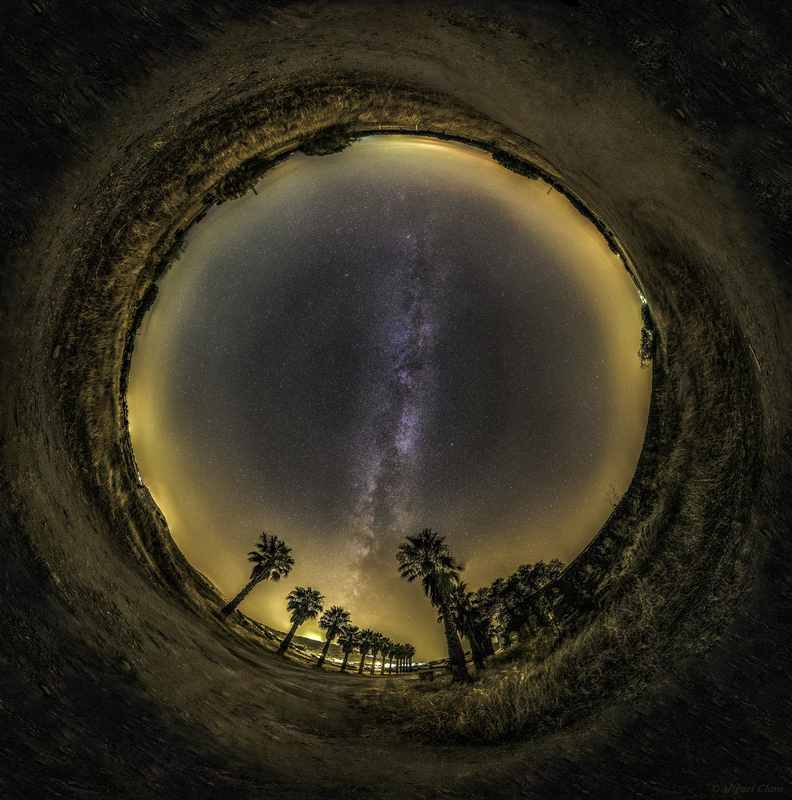 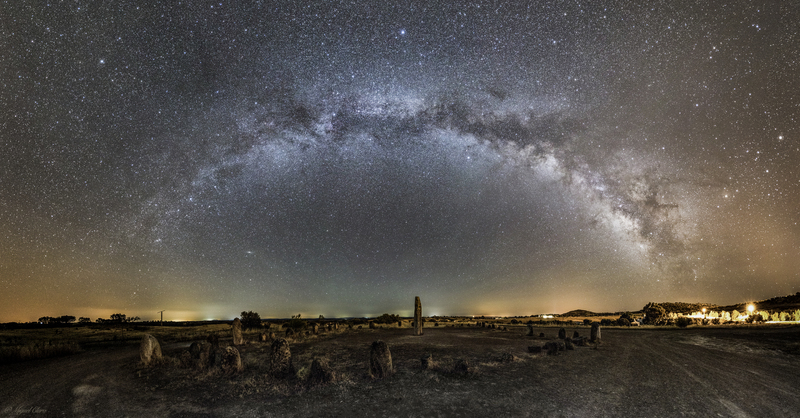 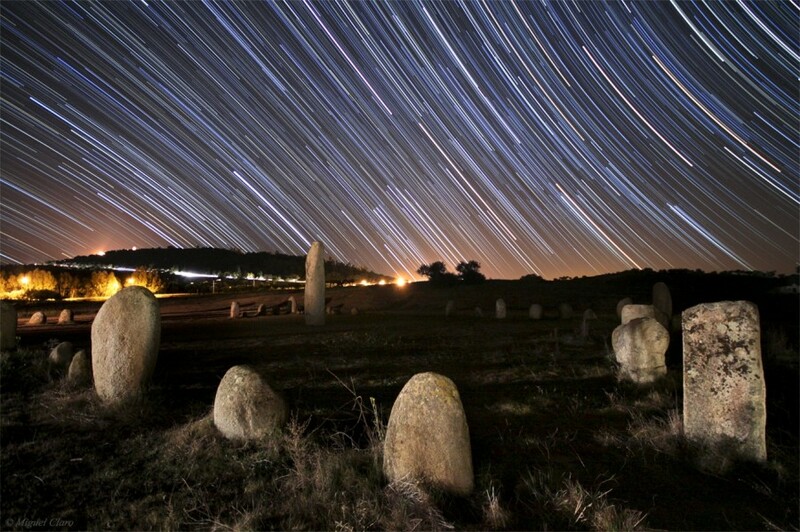 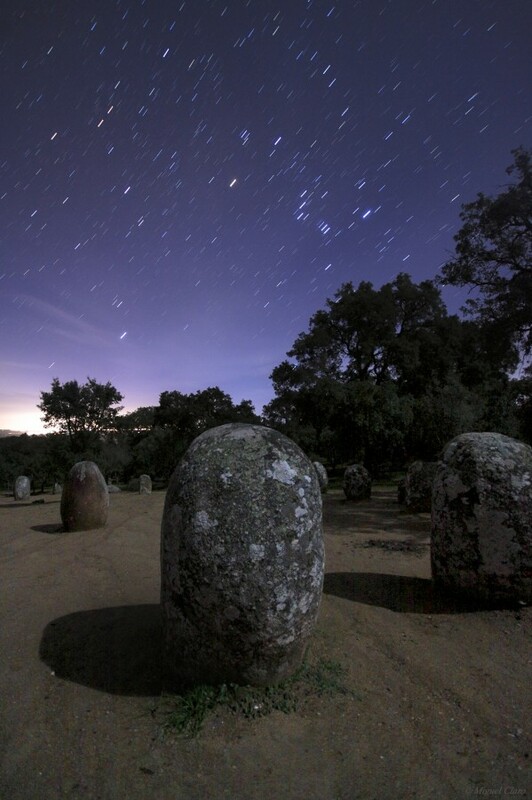 Central region of the Milky Way in the background of Cromeleque do Xerez, a megalithic monument consists of 50 granite menhirs erected between the 3rd and 4th millennium BC. 21/04/2015. 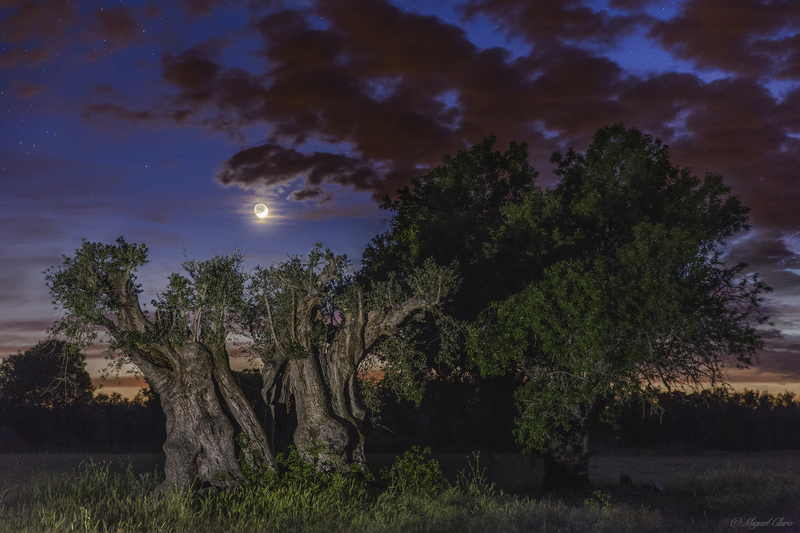 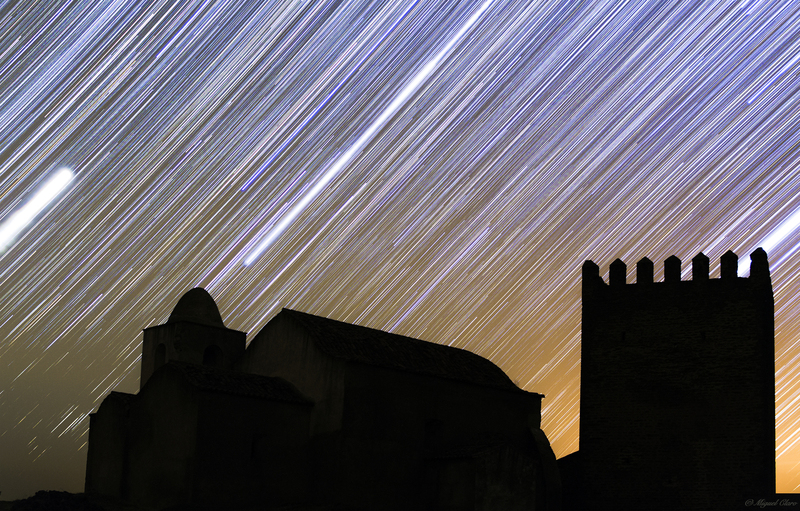 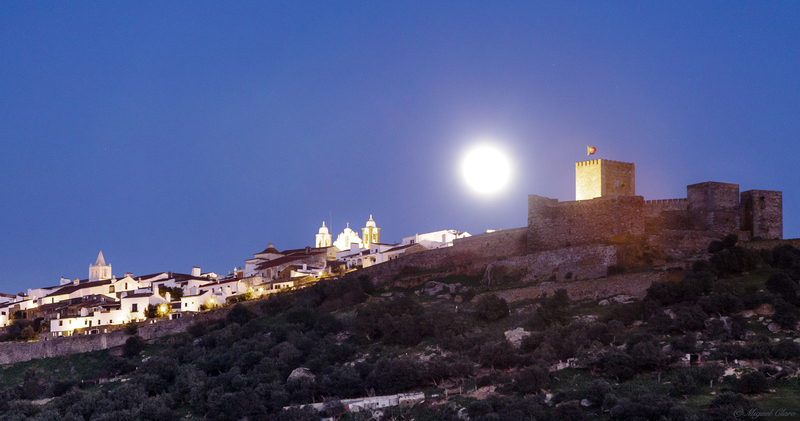 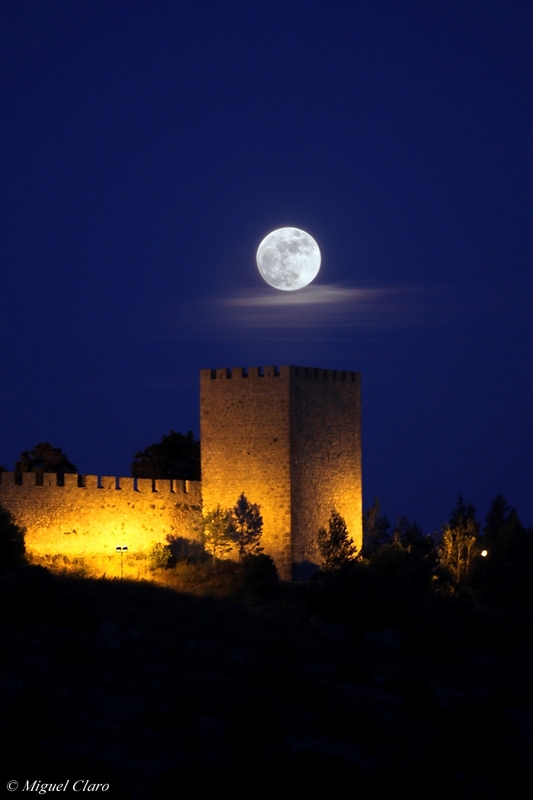 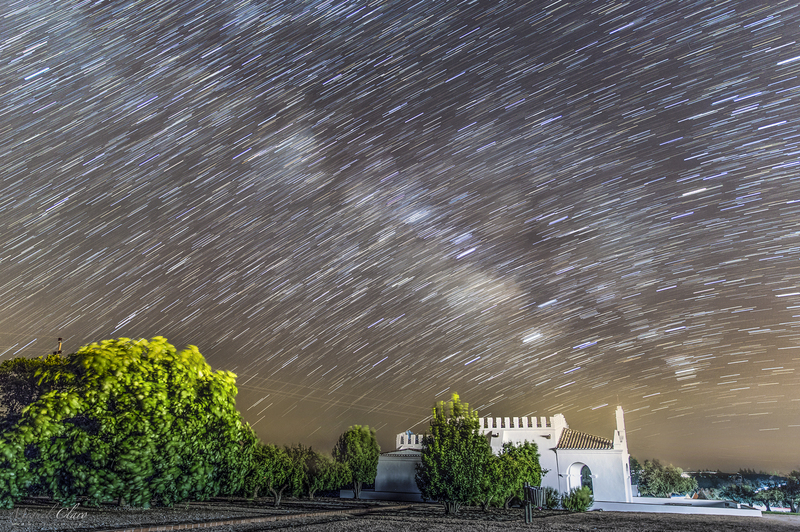 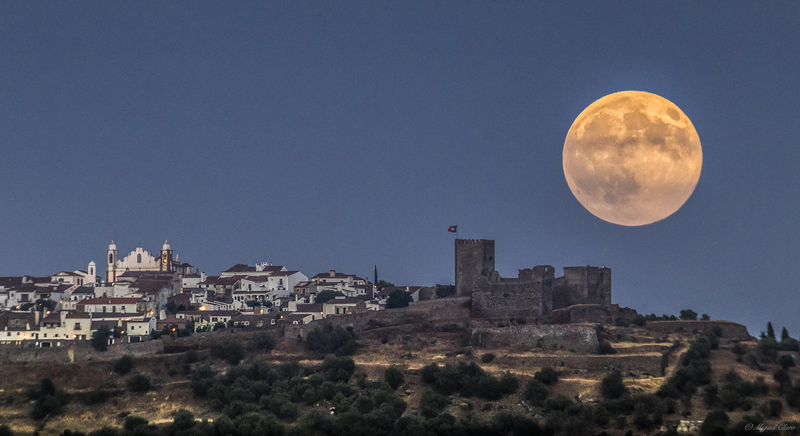 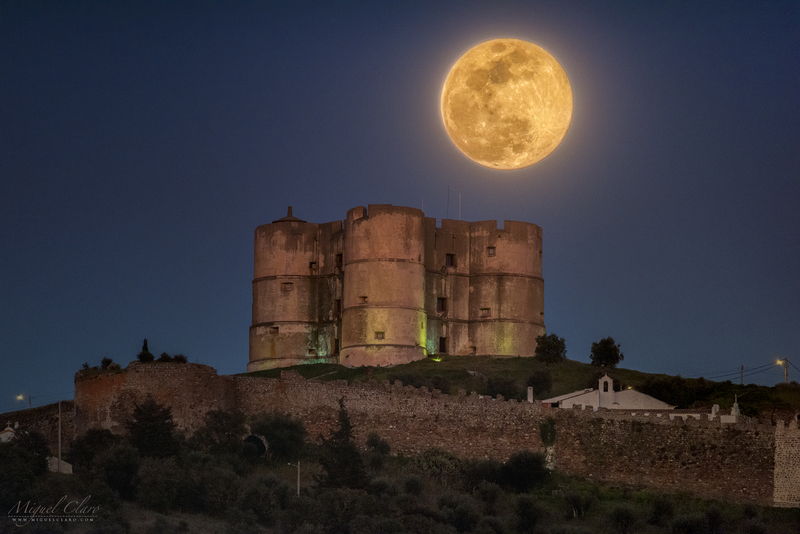 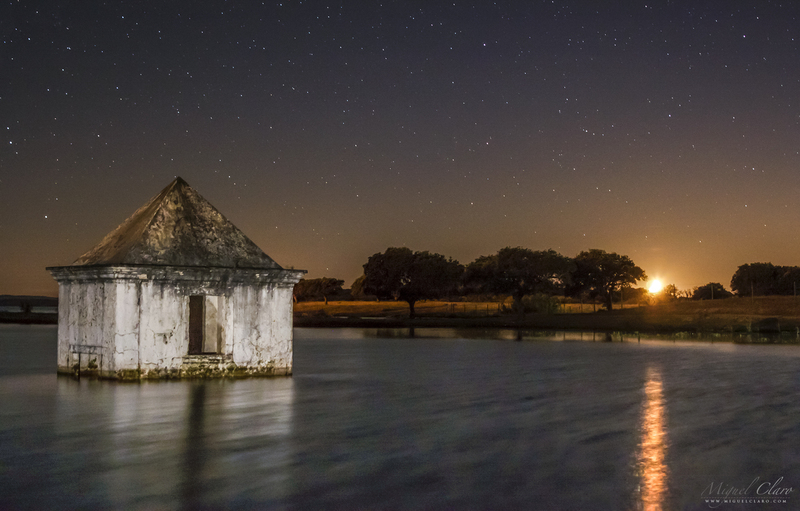 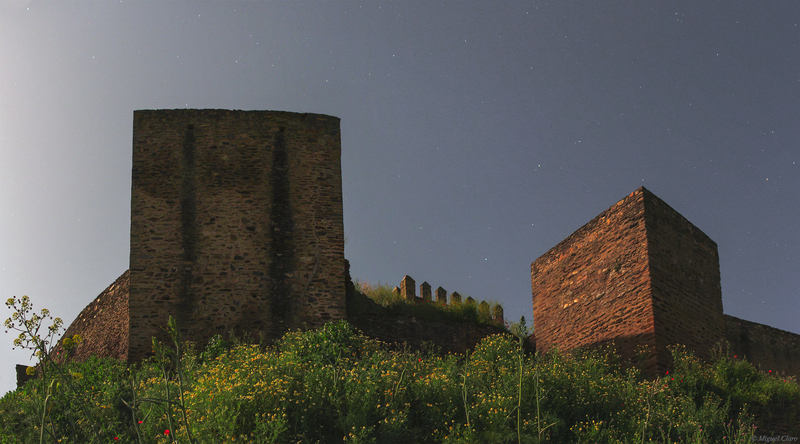 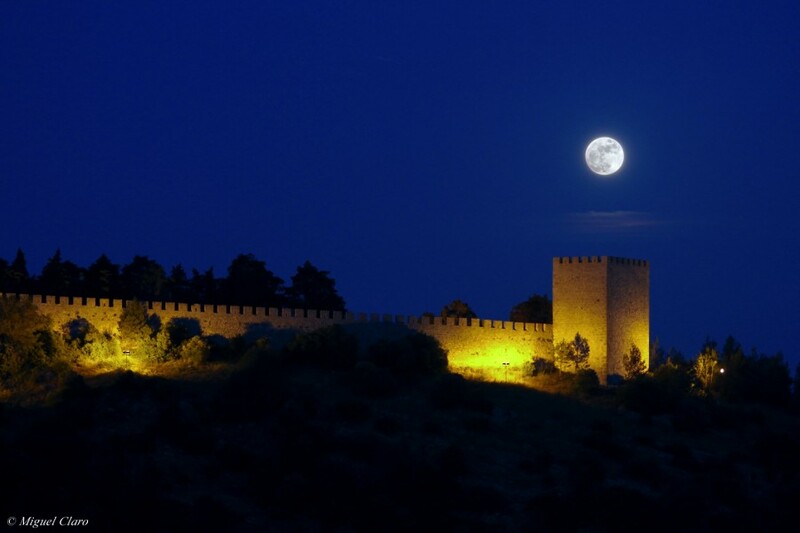 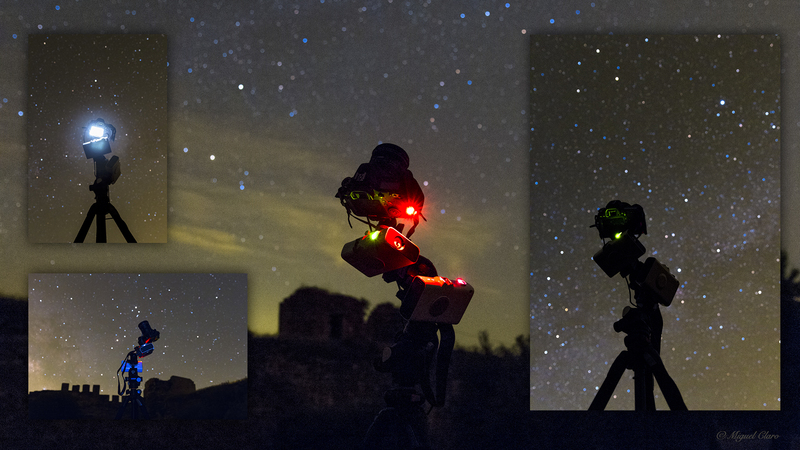 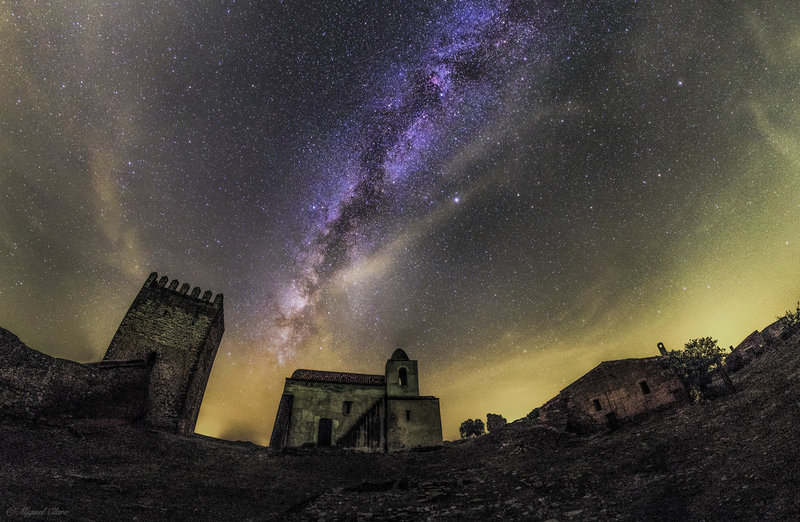 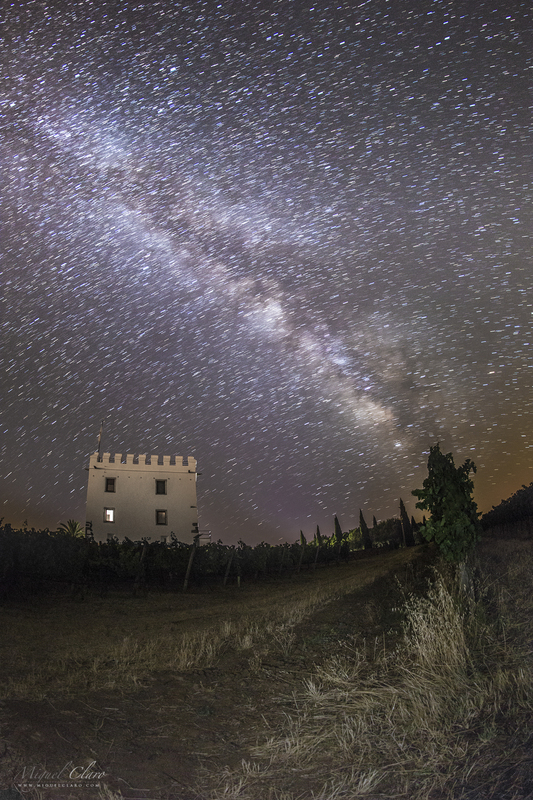 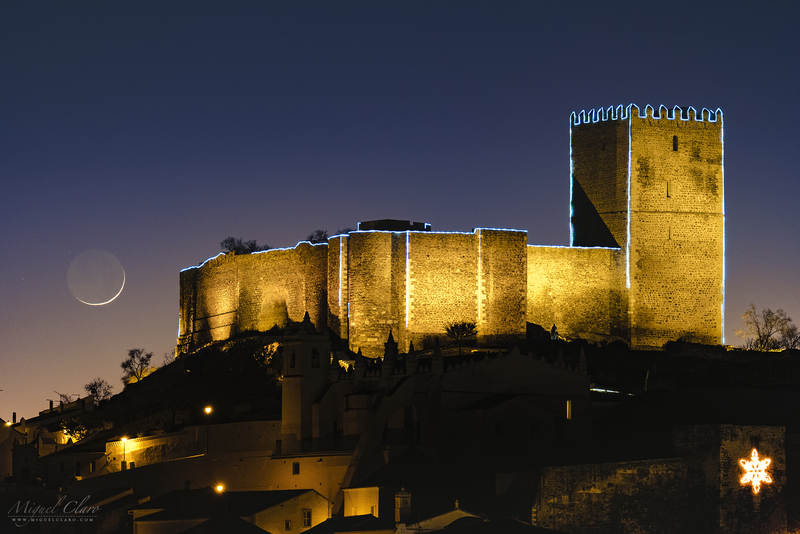 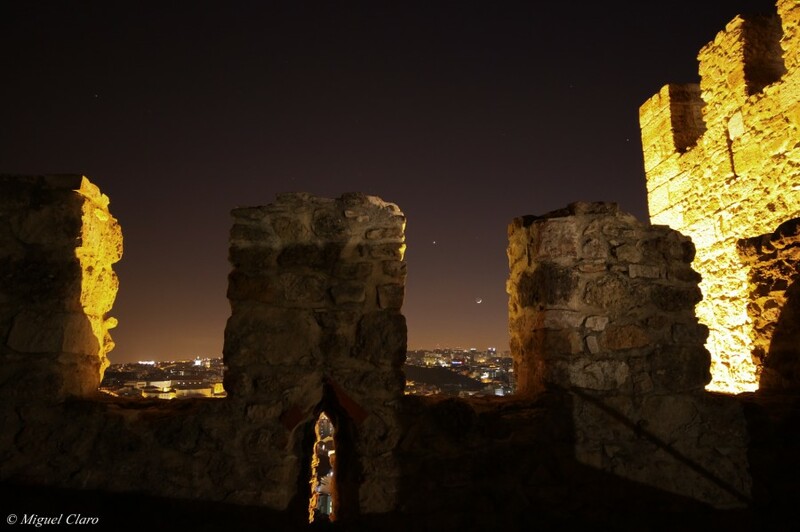 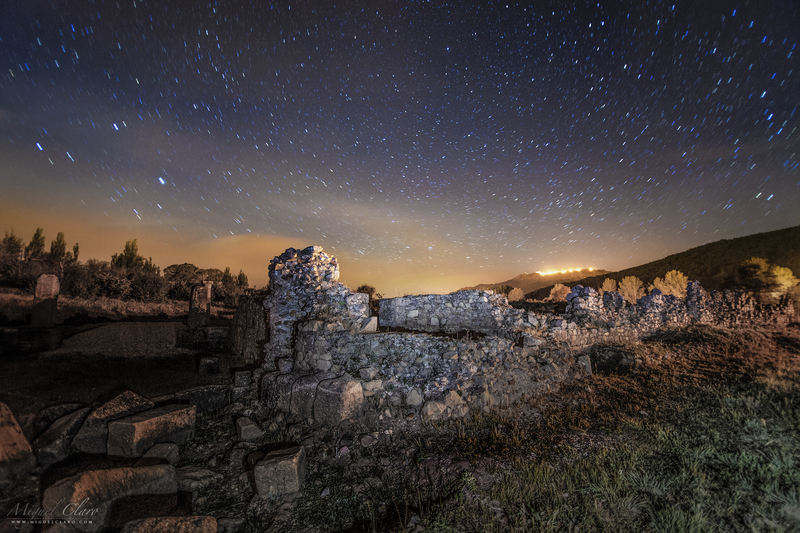 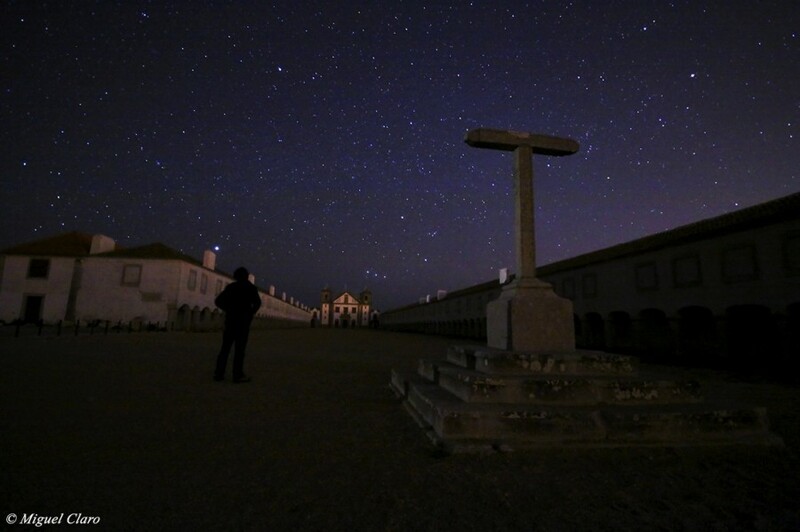 Monsaraz | Alqueva Dark Sky Reserve – Portugal! Night Sky image of the Convent of Orada, in Monsaraz, with it´s great cross. 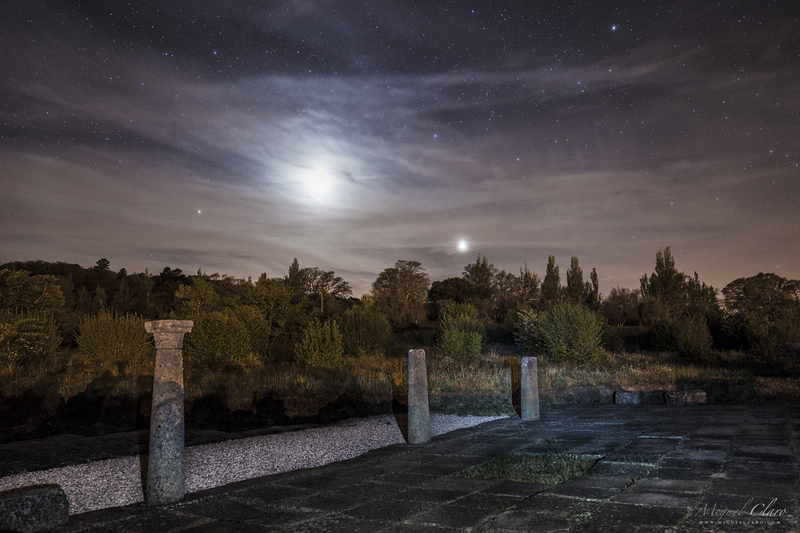 Canon 50D – ISO2500; 24mm; f/4; 30 secs. 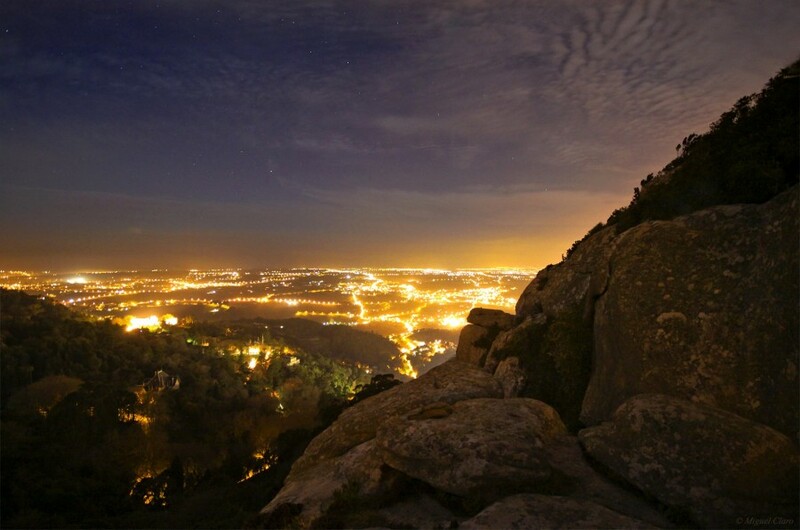 13/01/2013 at 06h35 AM. 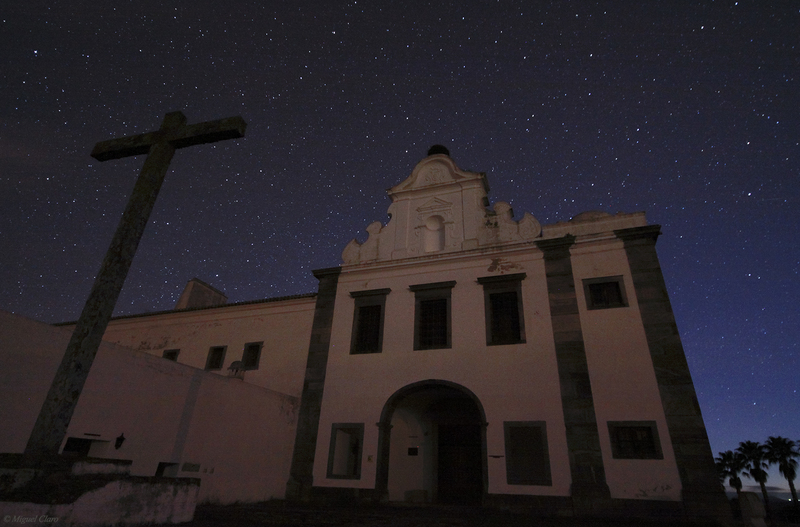 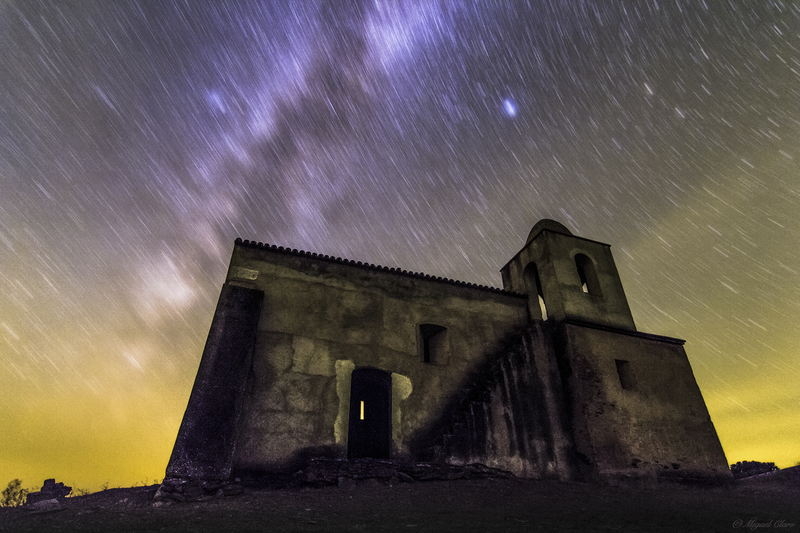 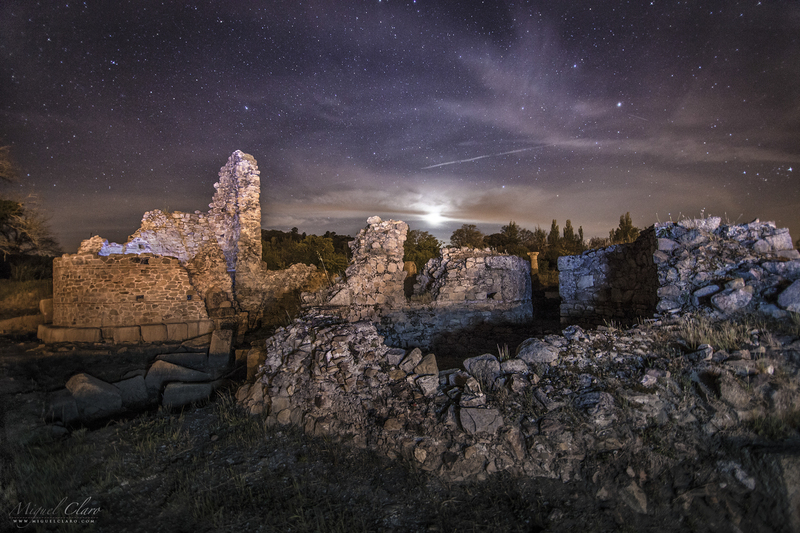 Night Sky image of the Convent of Orada, in Monsaraz, with it´s great cross in the left side of the image. 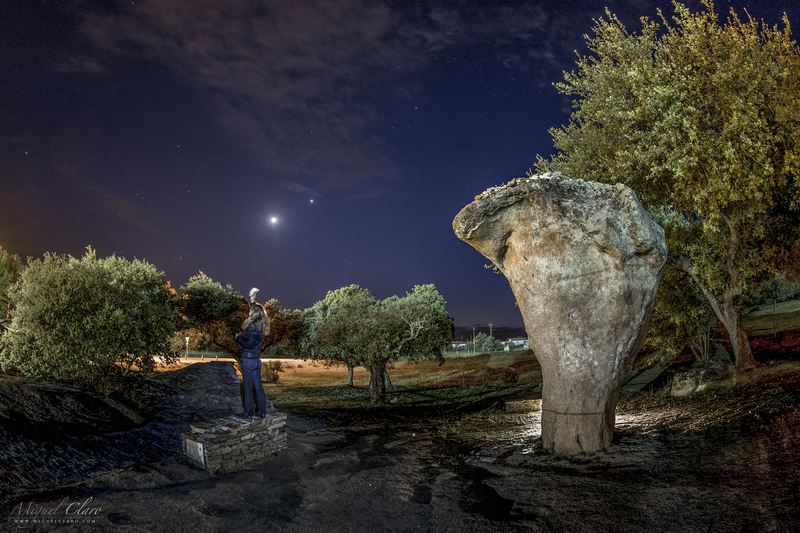 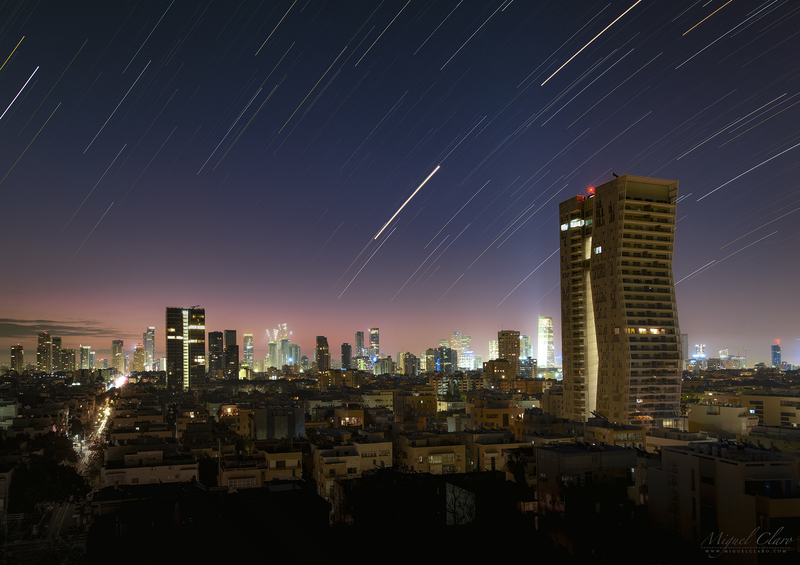 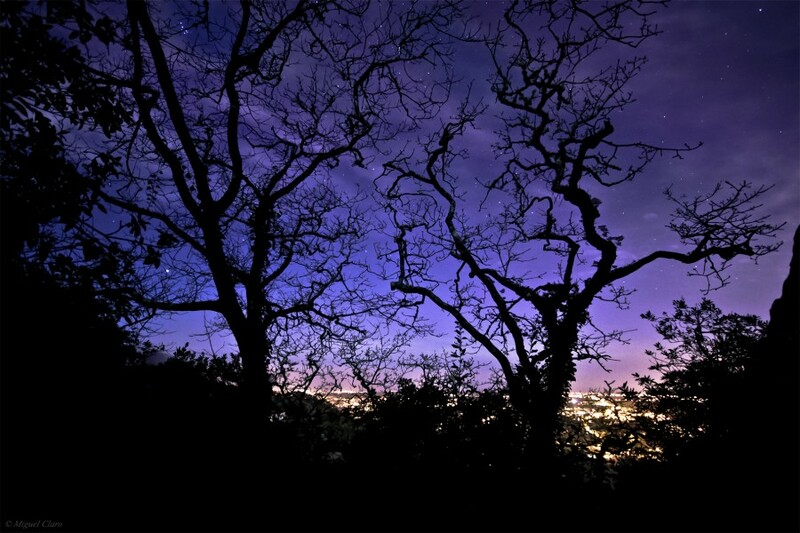 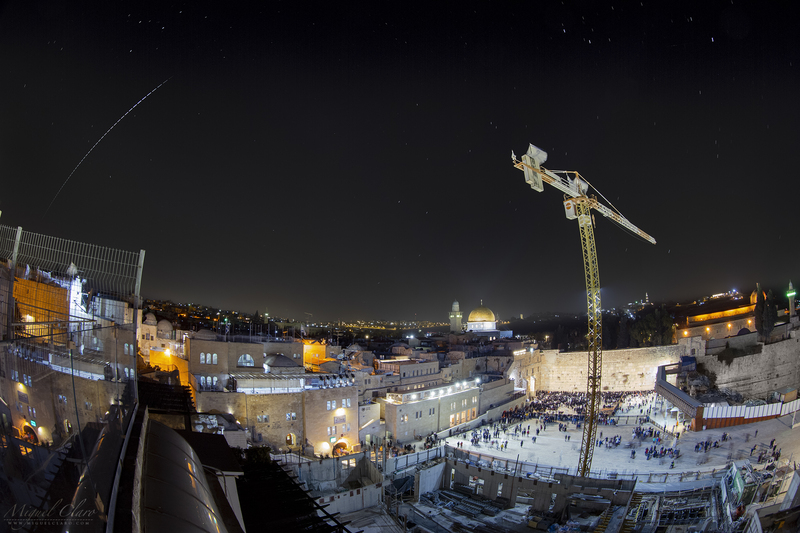 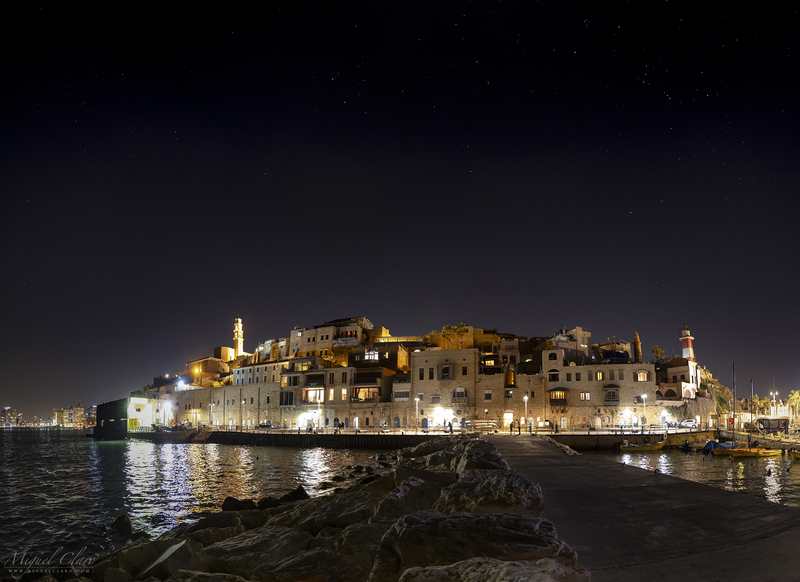 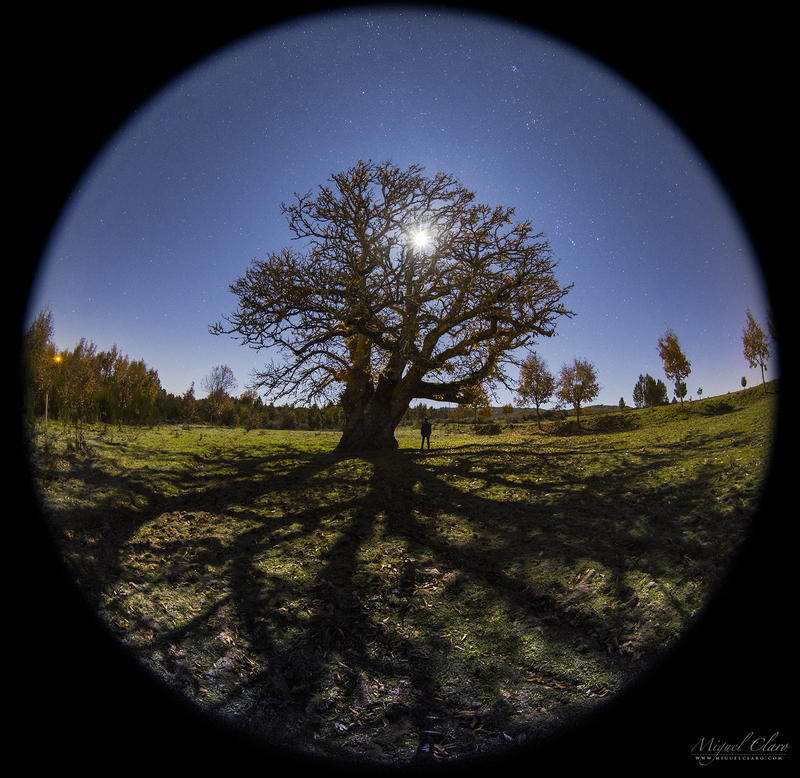 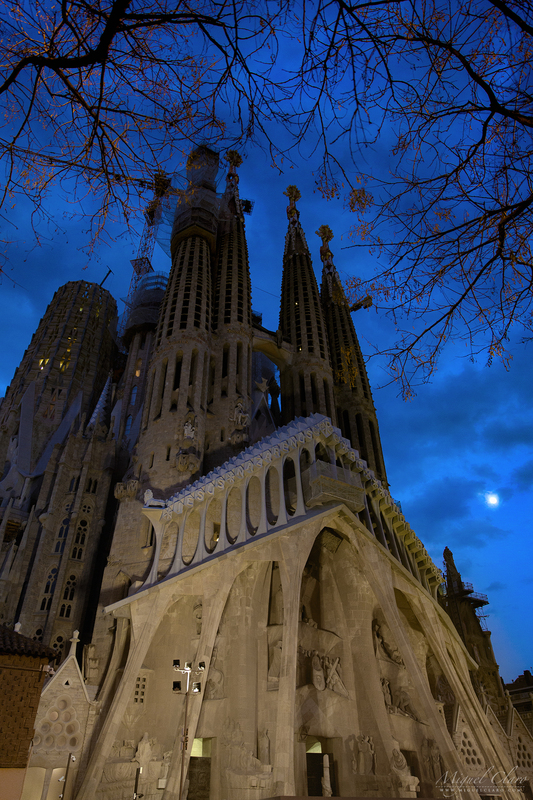 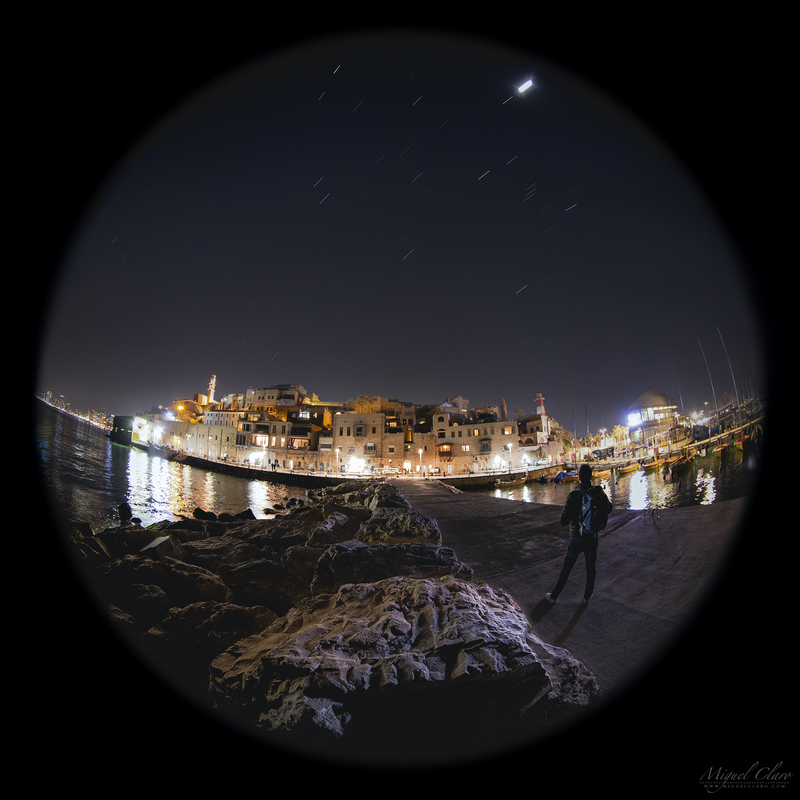 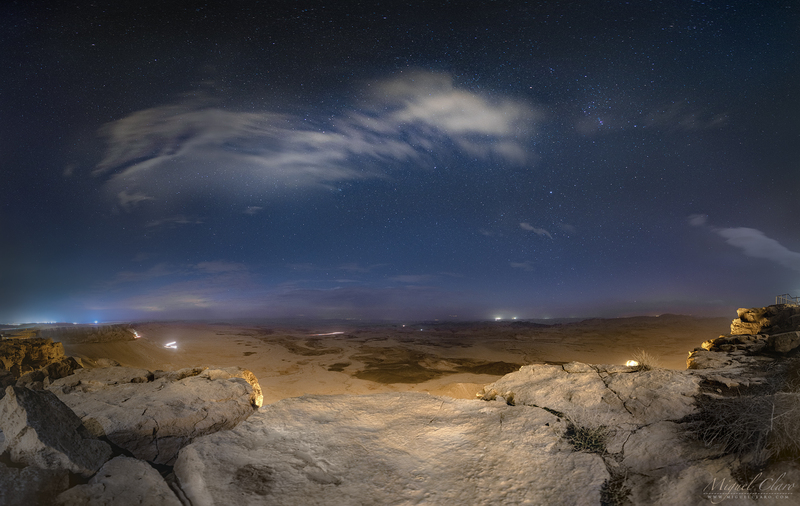 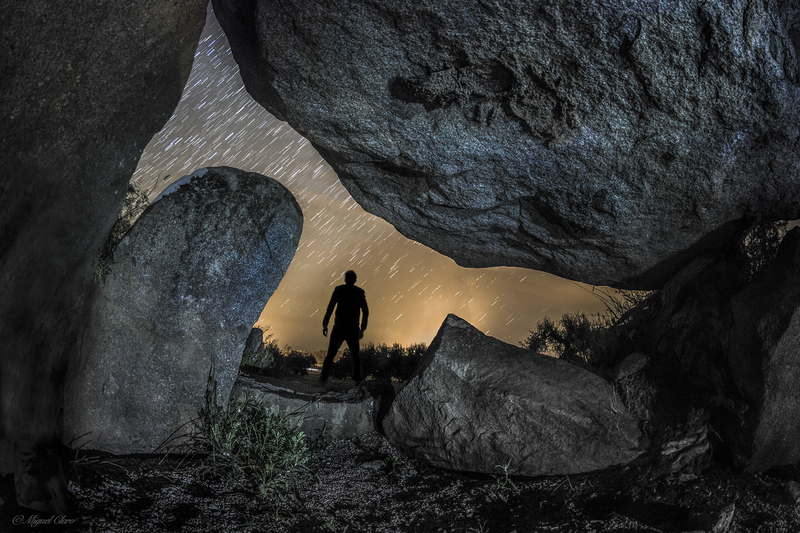 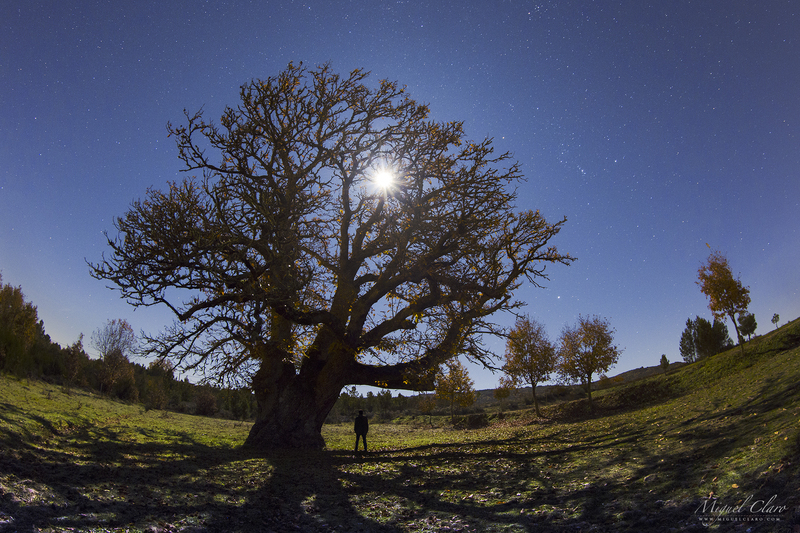 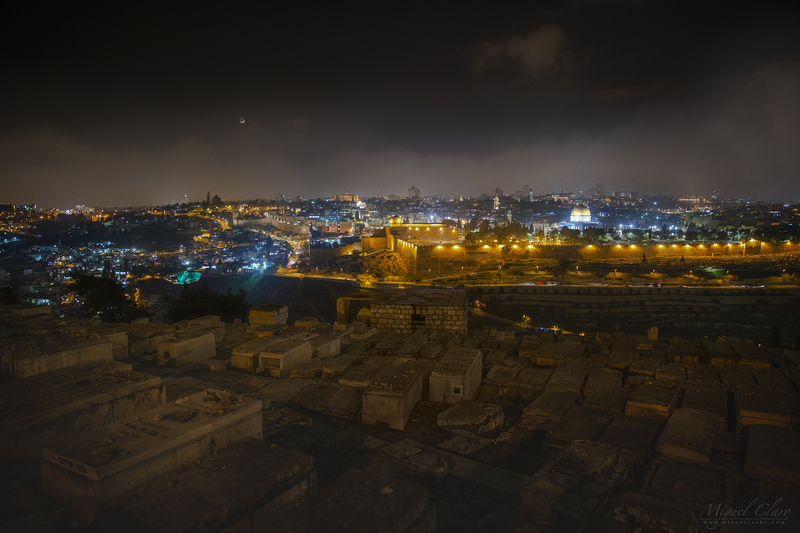 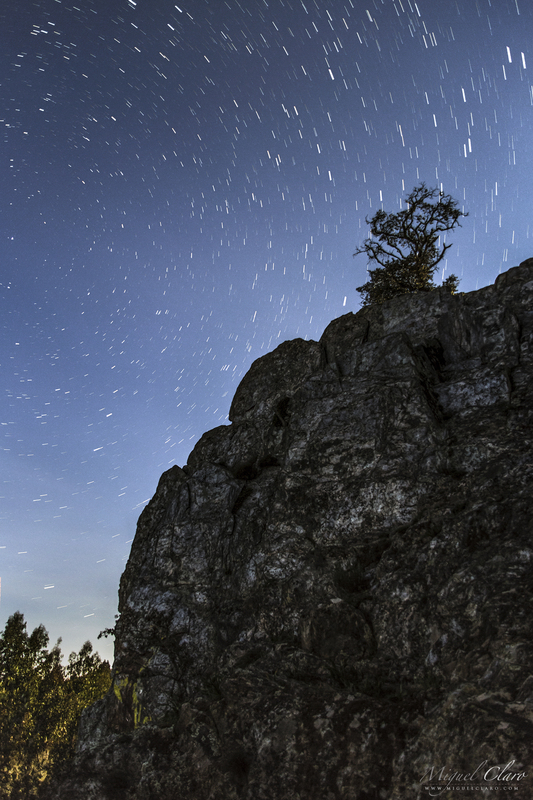 Canon 50D – ISO2500; 11mm; f/4.5; 30 secs. 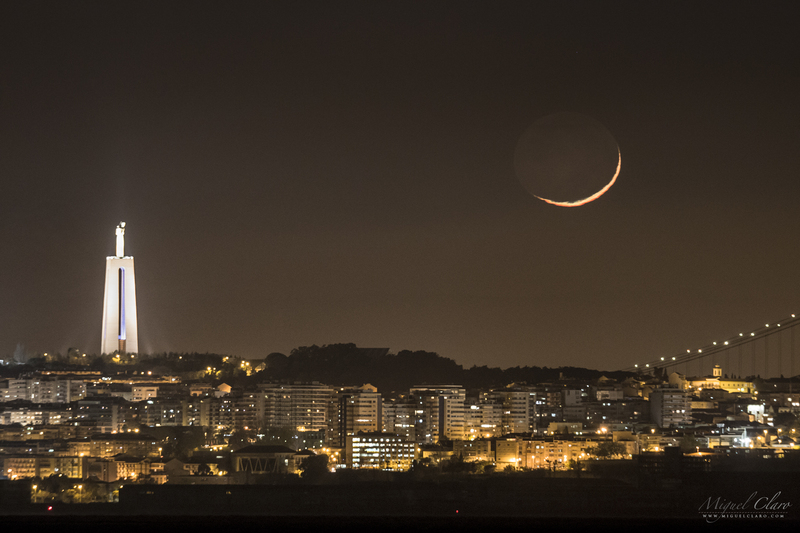 13/01/2013 at 06h25 AM. 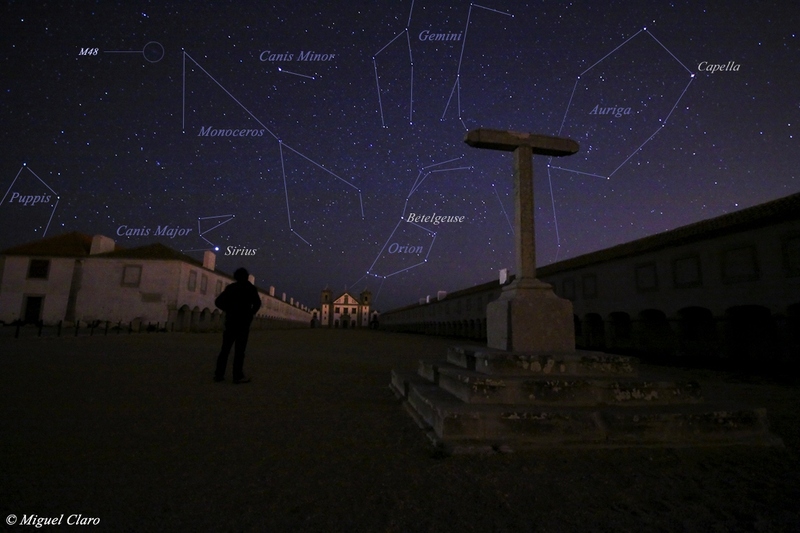 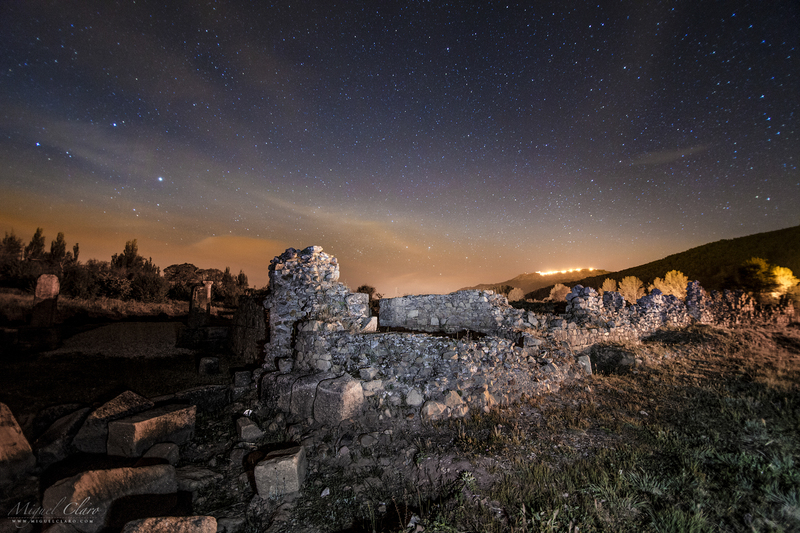 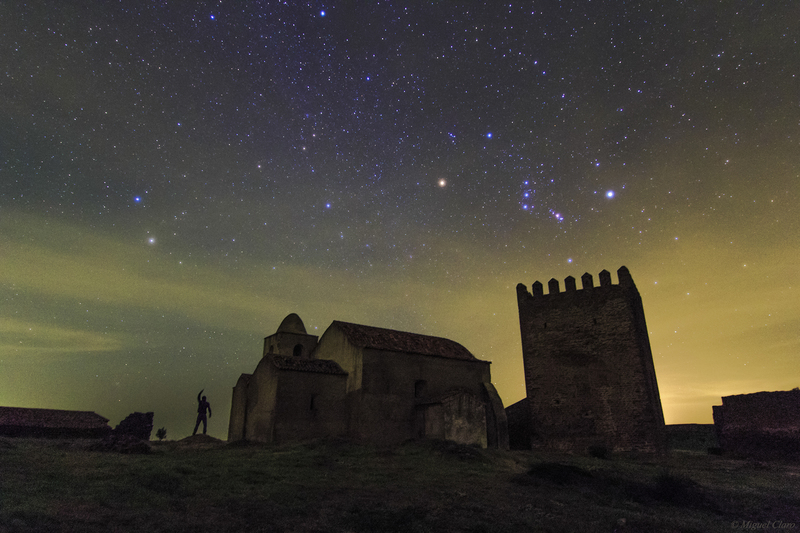 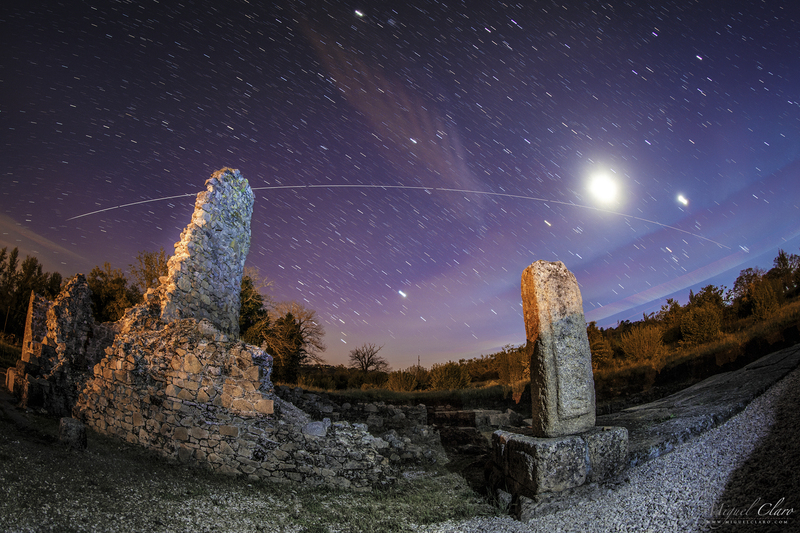 In the image, taken inside the Monsaraz Castle in the Alqueva Dark Sky Reserve, Portugal, facing to the constellation of Taurus, is visible the planet Jupiter at the right side of Aldebaran star. 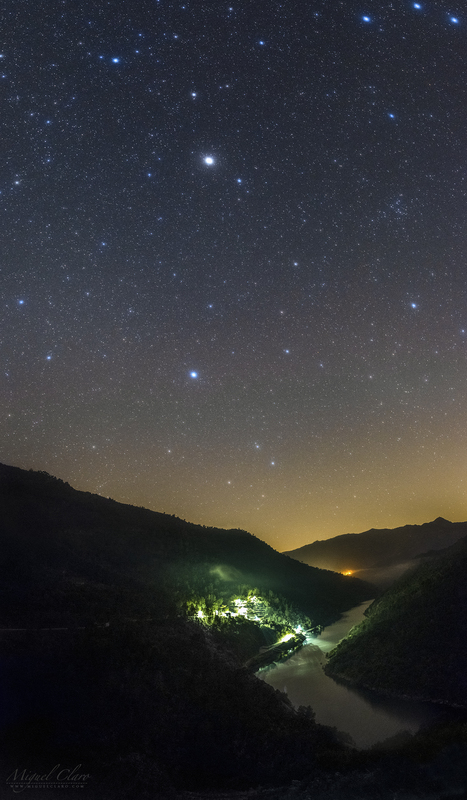 Above, is also visible the open cluster NGC1647, and close to it, the Vesta asteroid. 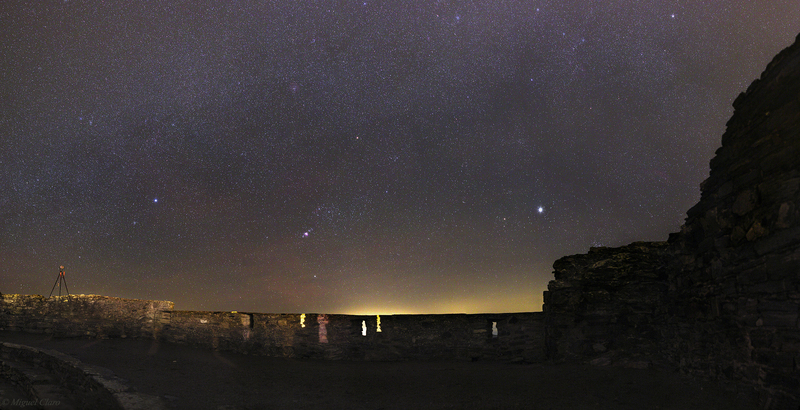 Below in the image, above the Rocks from the wall castle, is clearly visible the M45, well known as Pleiades, the 7 sisters. In this picture captured from the walls of Monsaraz Castle, we can see the entire Canis Major constellation, the star cluster M41, and the brightest star in the celestial sphere, with -1.46 mag. In this image Sirius is shown with unusual strong sparkles, not only produced by a photo star filter attached in the front lens of the camera, but also due to the strong dew which increase the diffusion and saturation effect, showing so, the true blue color of this star, for being at a hot temperature of 25,200K. 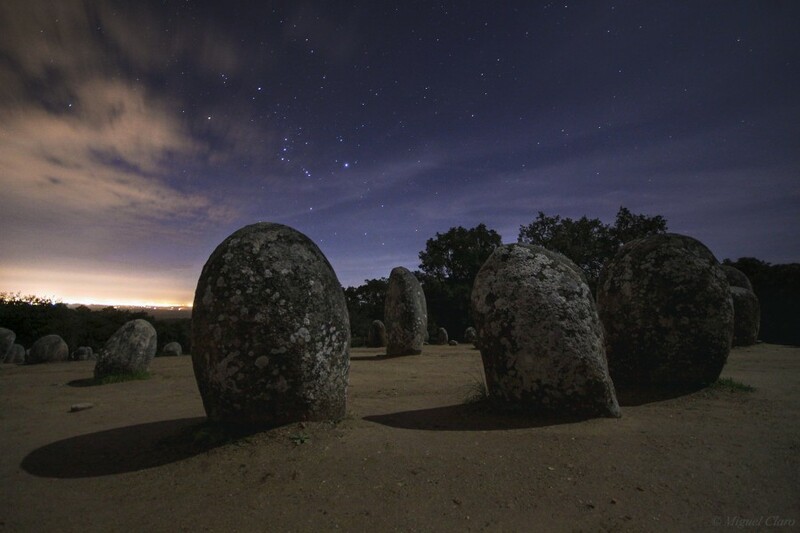 The construction of these structures date back to VI millennium B.C., and only rediscovered in 1966 by Henrique Leonor Pina. 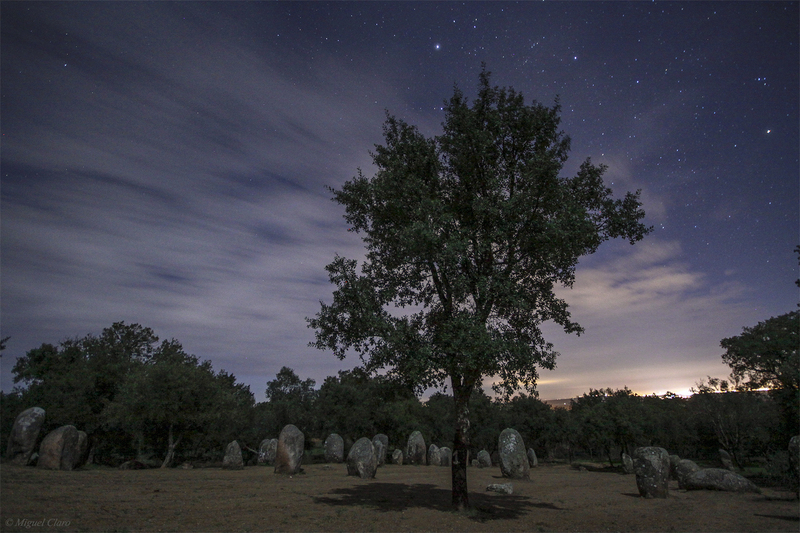 The construction phases, Almendres I date 6000 B.C and the Almendres II, date 5000 B.C Middle Neolithic. The relative chronology of the cromlech and menhirs is extremely complex and covers a period from the Neolithic to Chalcolithic, and it is believed that the monument had a religious/ceremonial purpose, or functioned as a primitive astronomical observatory. About a dozen monoliths present some form of carved drawings,four of which exhibit only small circular holes. 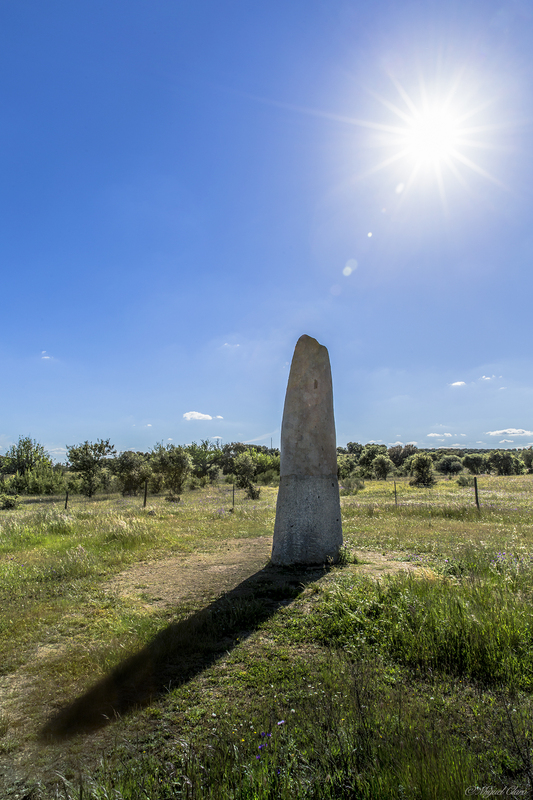 Monolith number 8, with a cut flat top at about breast level and showing several dimples, might have served for finer astronomical observation, specially spring equinox observation, by putting small stones on them. 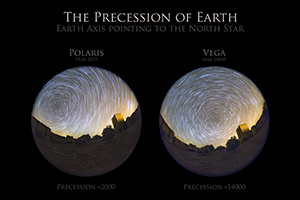 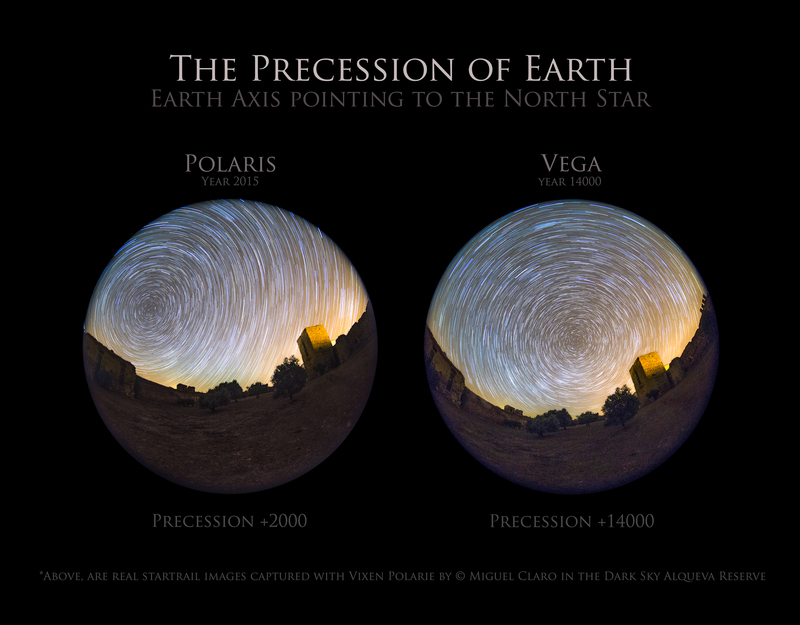 These observations might be made from stone 39, on the eastern focal point of the elliptic layout. 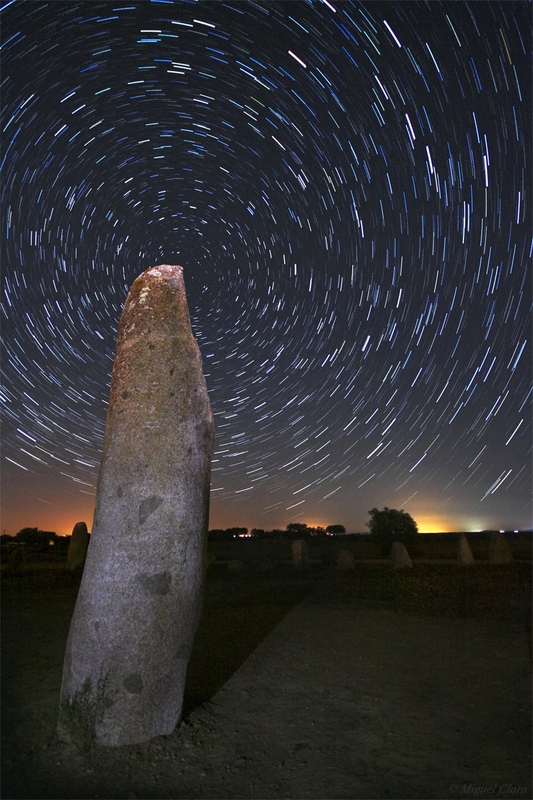 (http://en.wikipedia.org/wiki/File:CromelequeAlmendres.png) Menhir 48, also exhibits a schematized anthropomorphic representation, surrouned by circles and associated with a crozier. 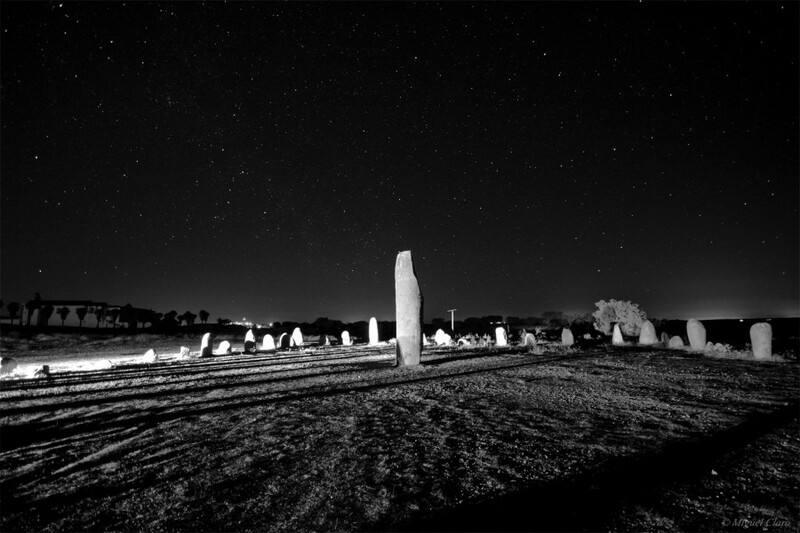 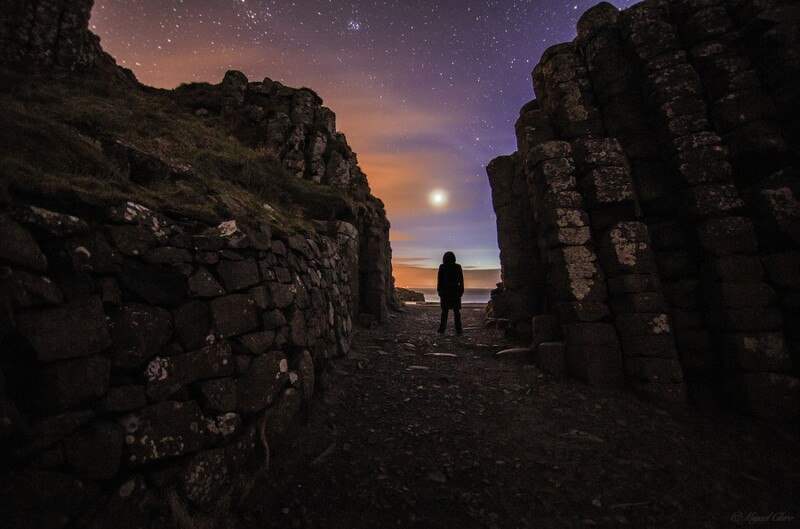 In the sky image, is visible the startrails of Orion Constellation above the stone circle, and the shadows of the stones projected in the land, due to the light of the moon, which light up the landscape from the oposite site. 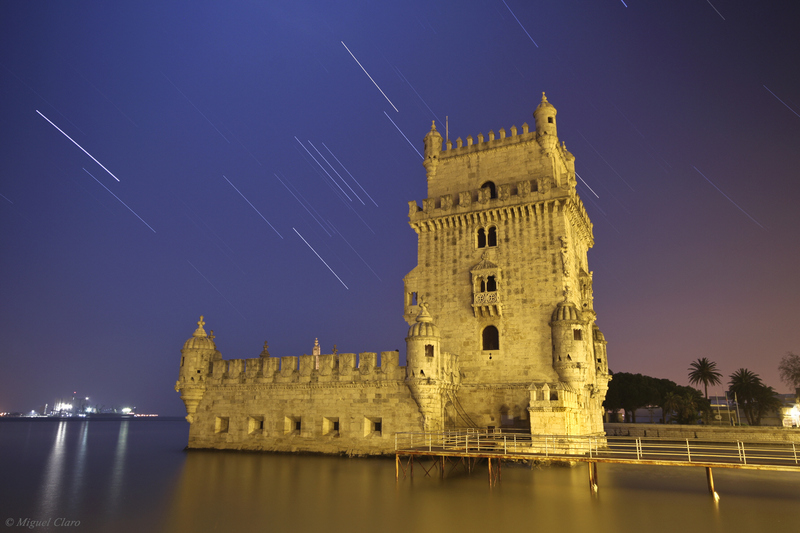 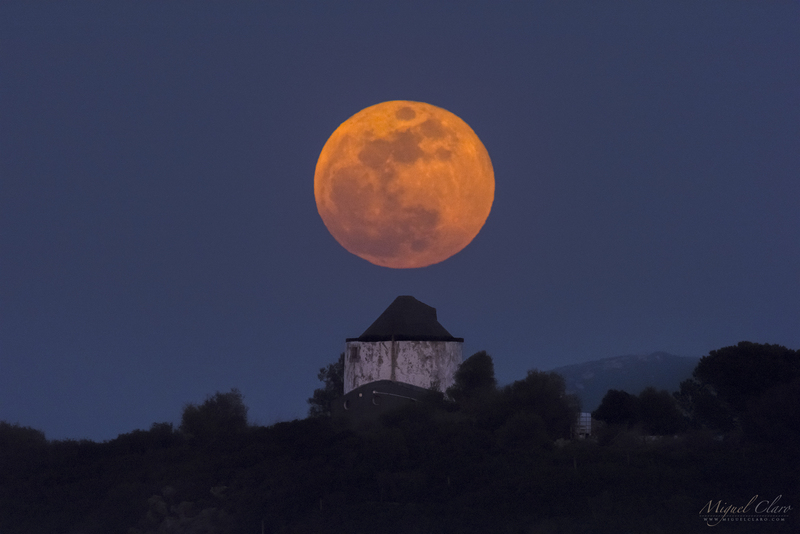 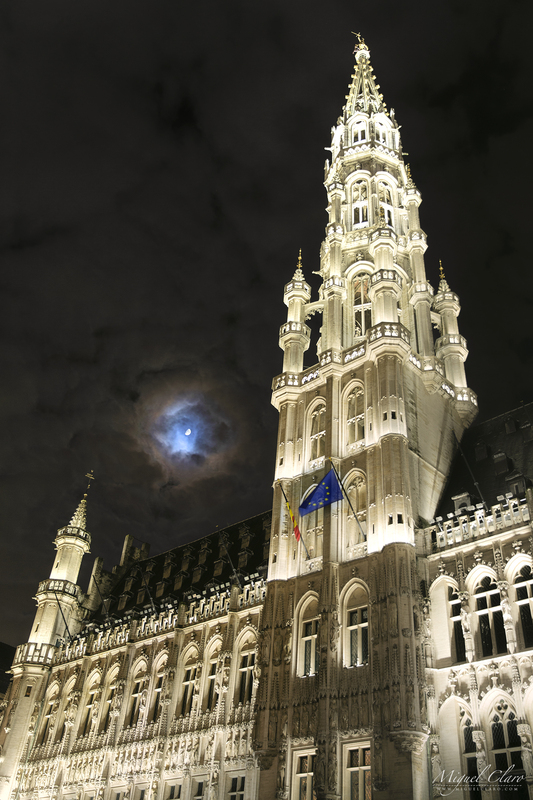 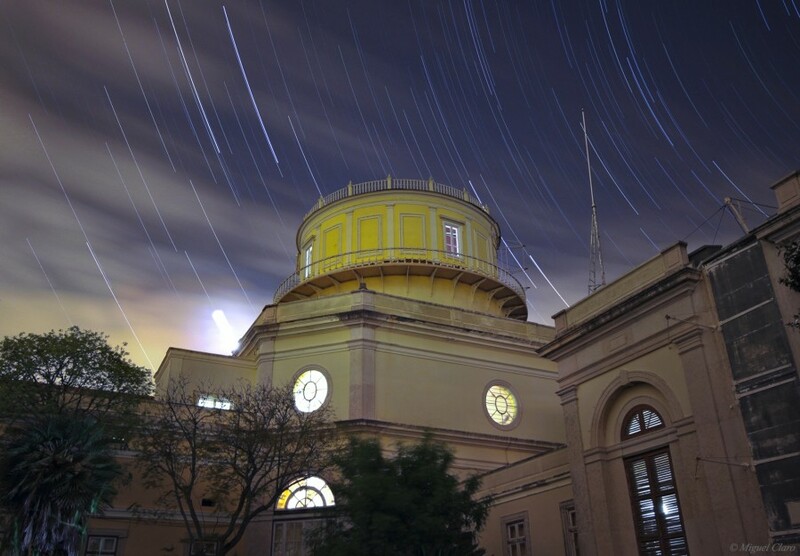 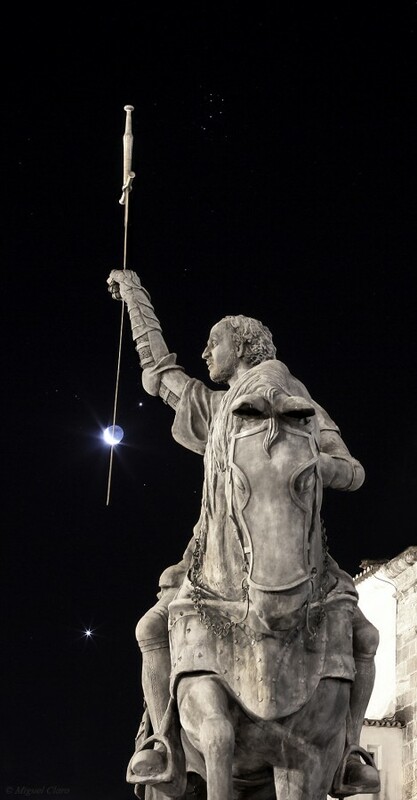 In the image we can see the sword of Dom Nuno Álvares Pereira, bypassing the moon. 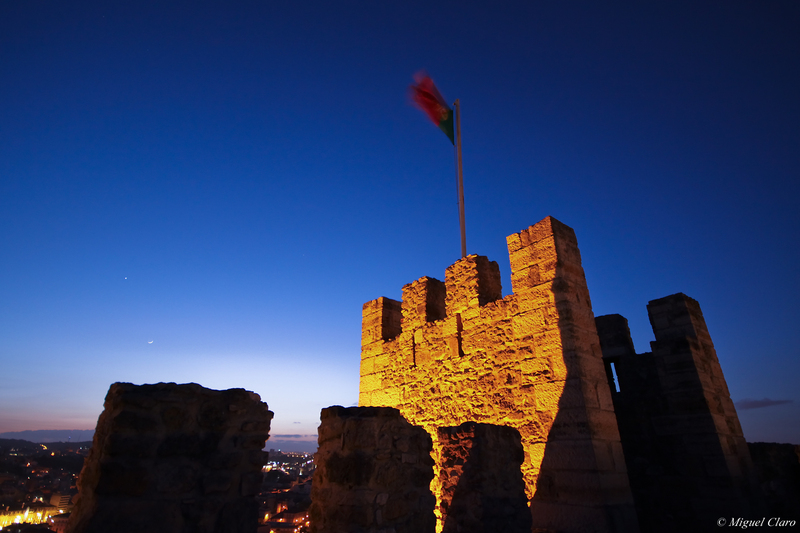 was a Portuguese general of great success who had a decisive role in the 1383-1385 Crisis that assured Portugal’s independence from Castile. 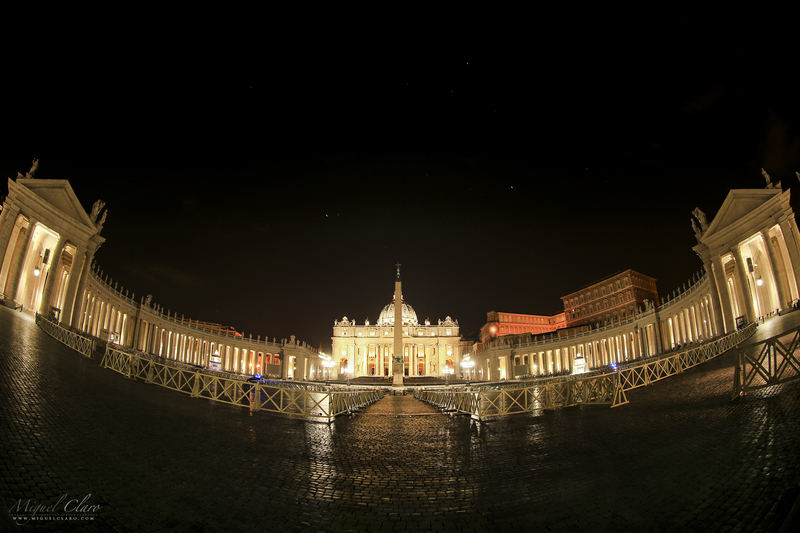 He later became a mystic, was beatified by Pope Benedict XV in 1918 and was canonised by Pope Benedict XVI in 2009. 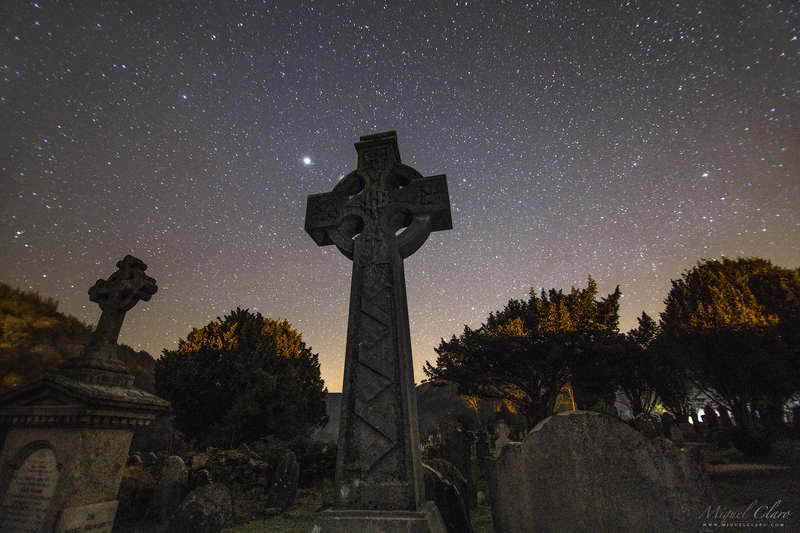 For the same reason, the sword is turned down, as a sign of peace. 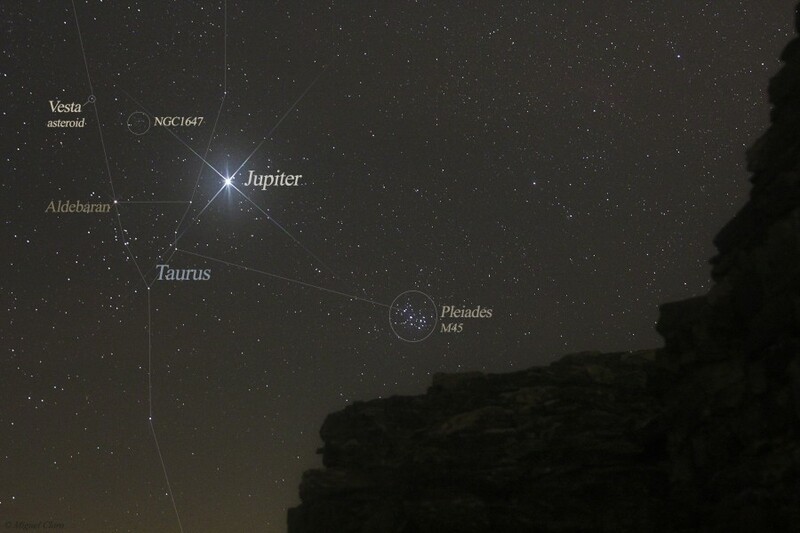 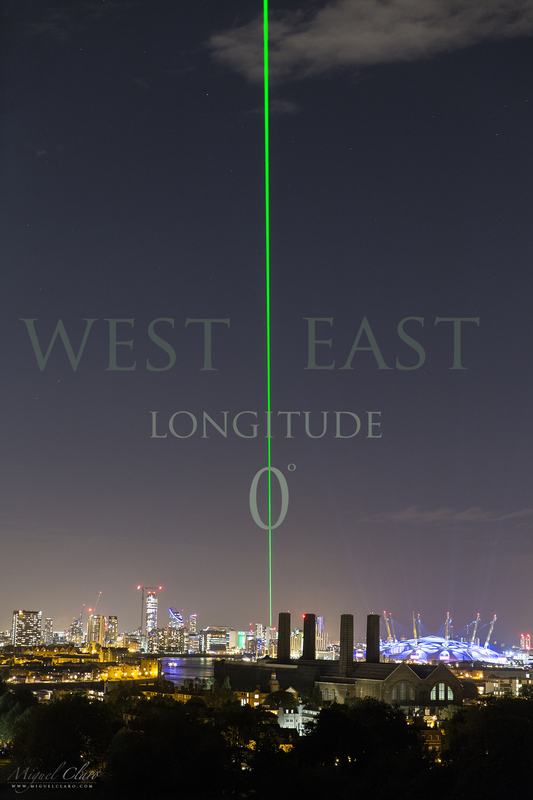 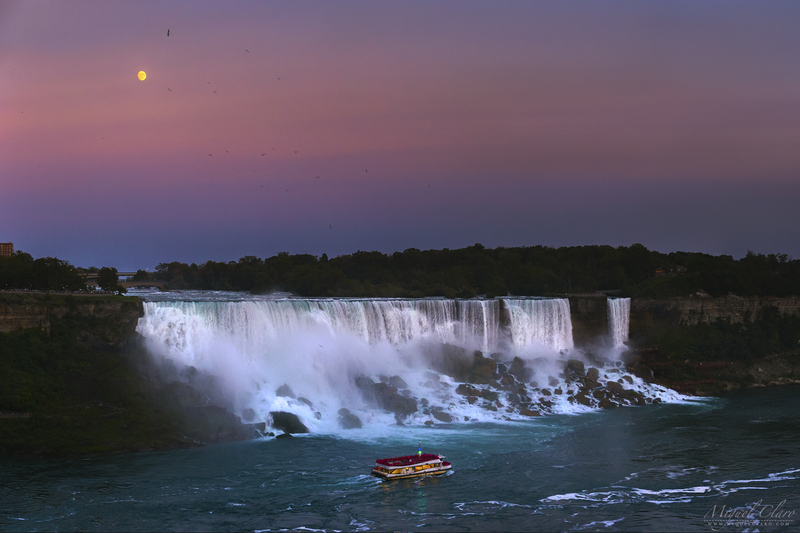 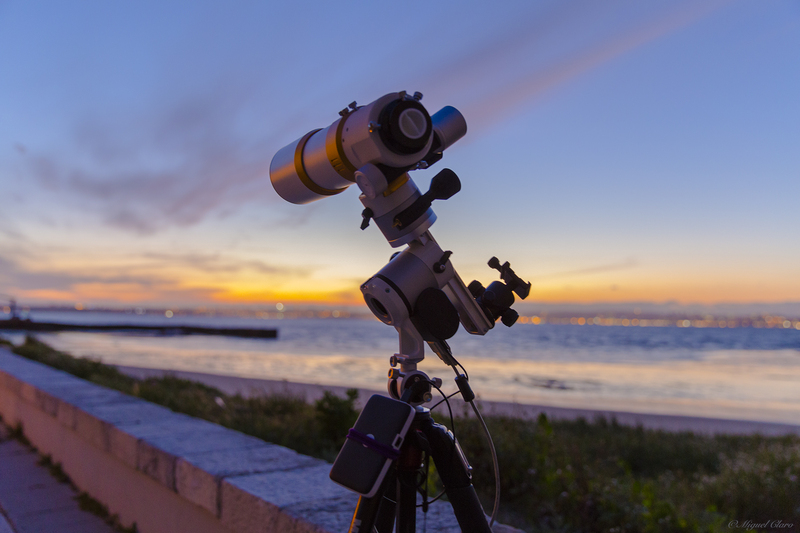 In the sky we could appreciate the alignment between Venus, Moon,Jupiter and Pleiades. 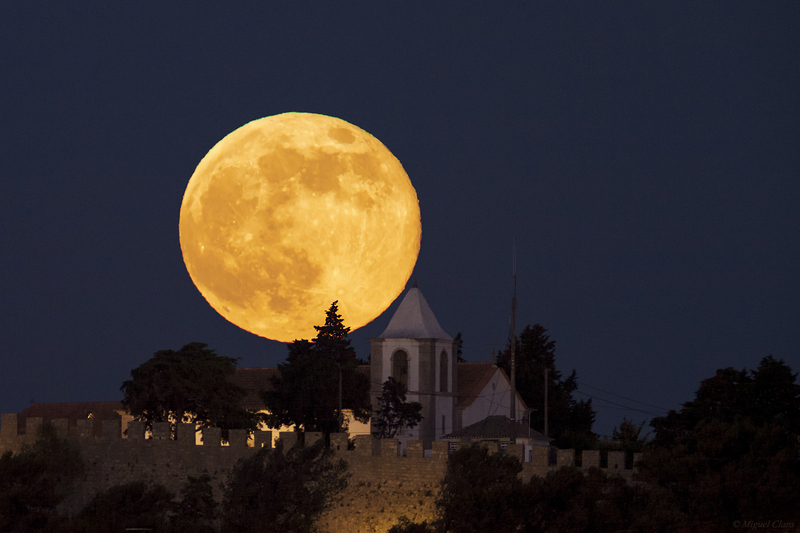 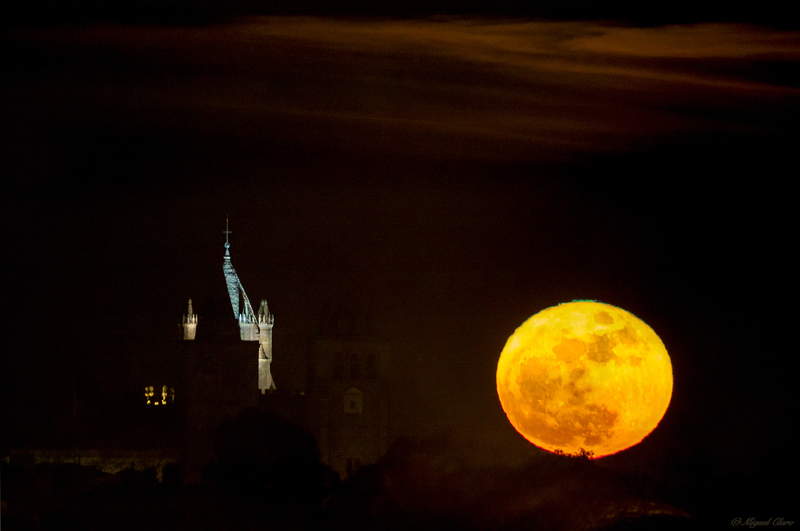 Full Moon behind the Cathedral of Évora situated in the historical centre of the city, which was included in the classification by UNESCO, as a World Heritage Site. 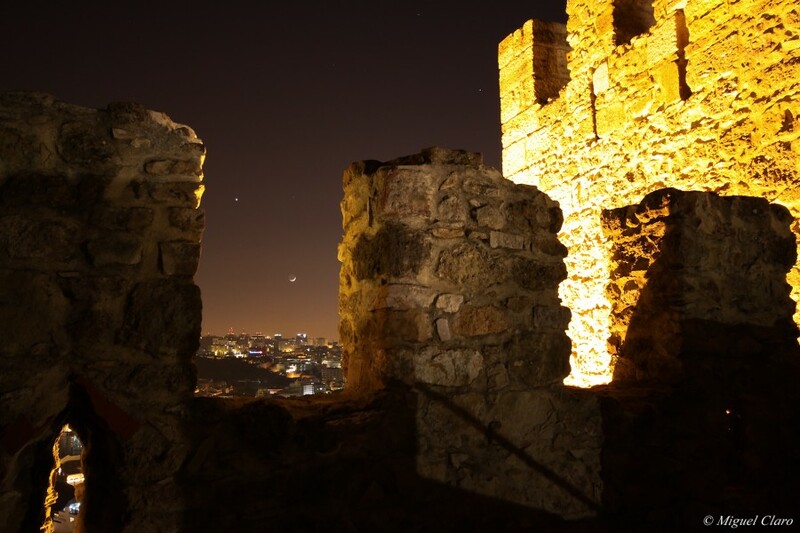 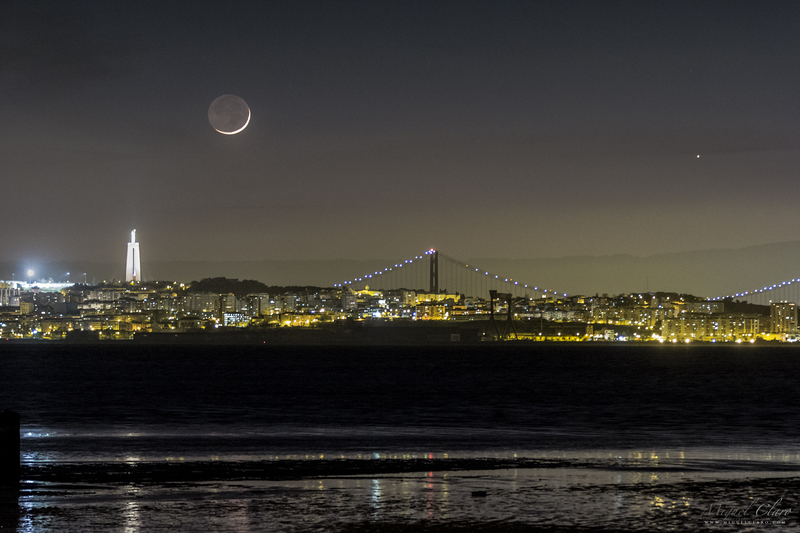 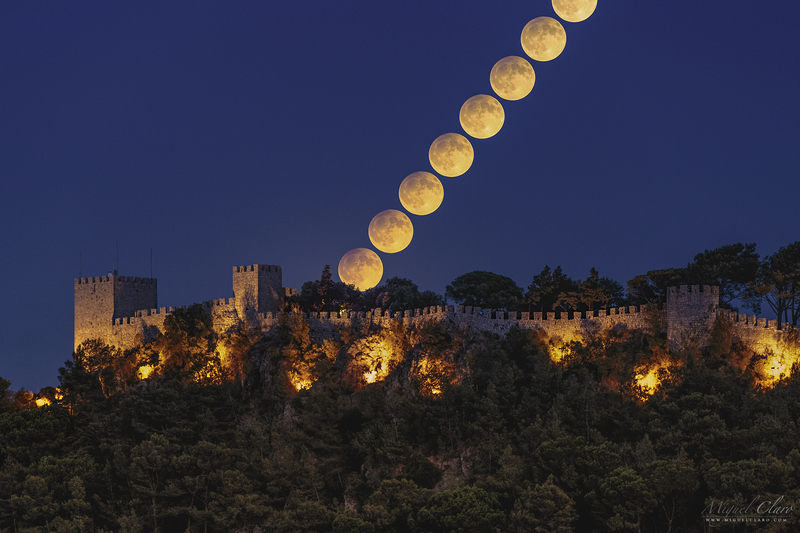 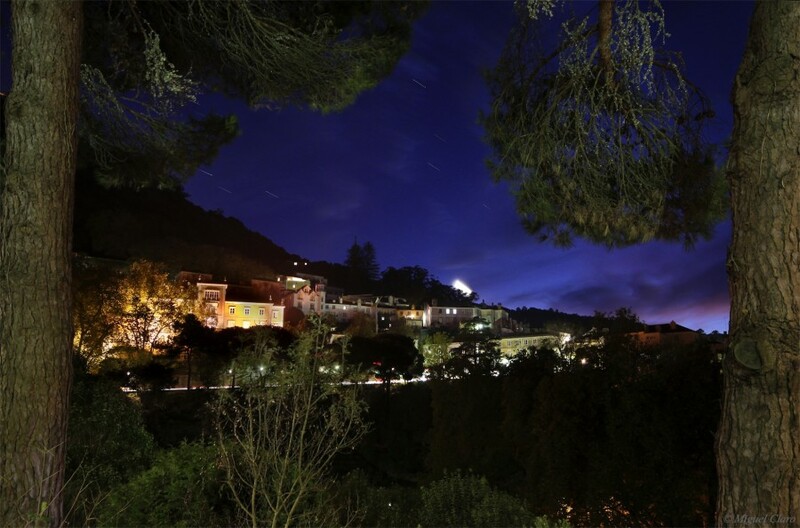 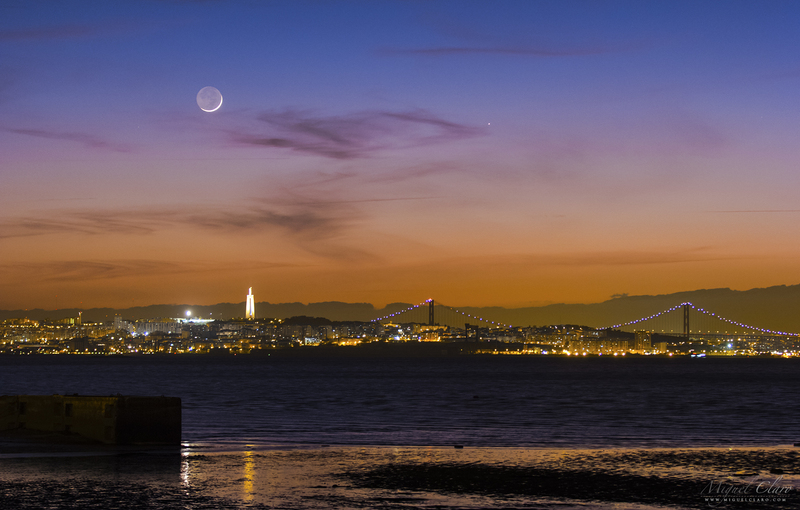 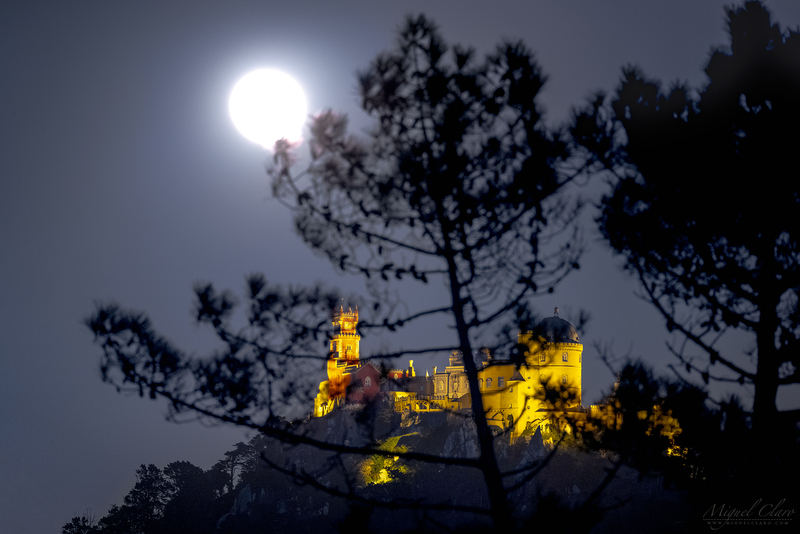 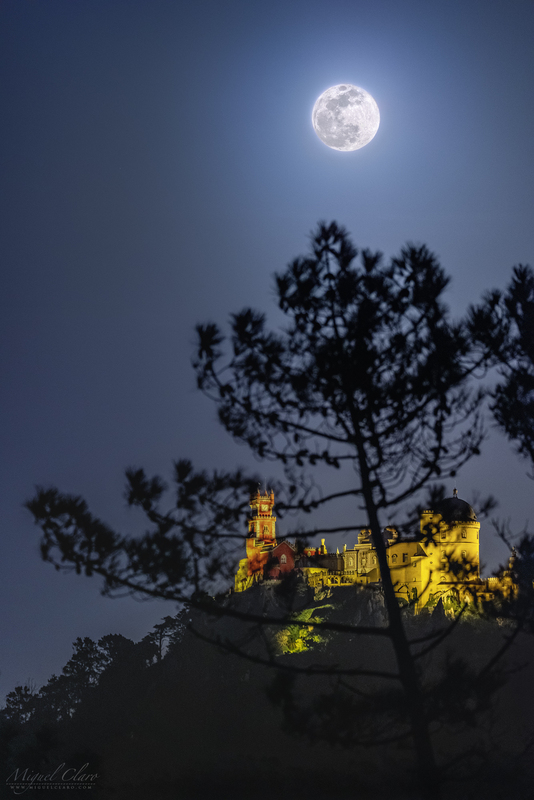 Image of the Crescent Moonset, behind the Sintra Village. 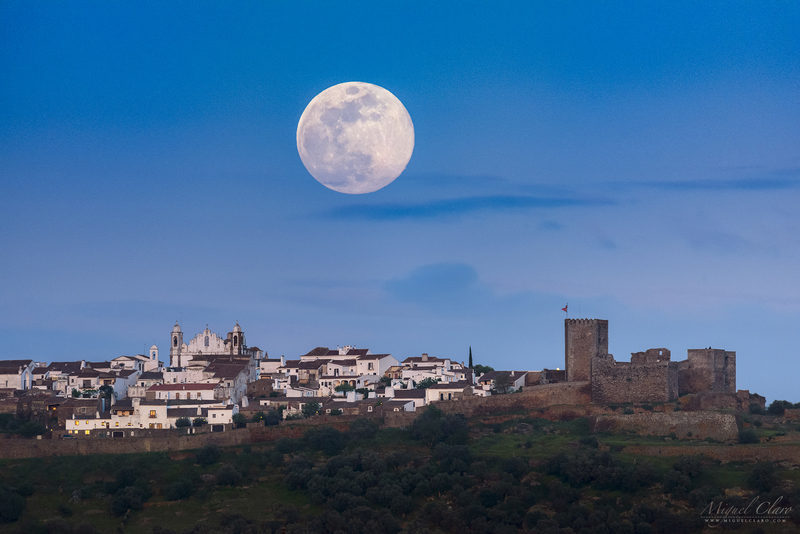 Located in the the region of Lisbon, Portugal, the village is a UNESCO World Heritage Site, on account of its 19th century Romantic architecture. 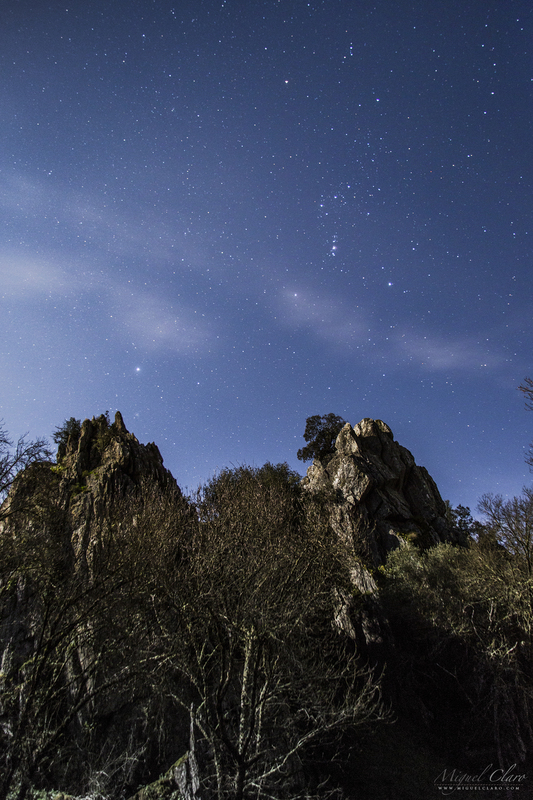 Canon 50D -ISO640 16mm F/8 Exp.5s. 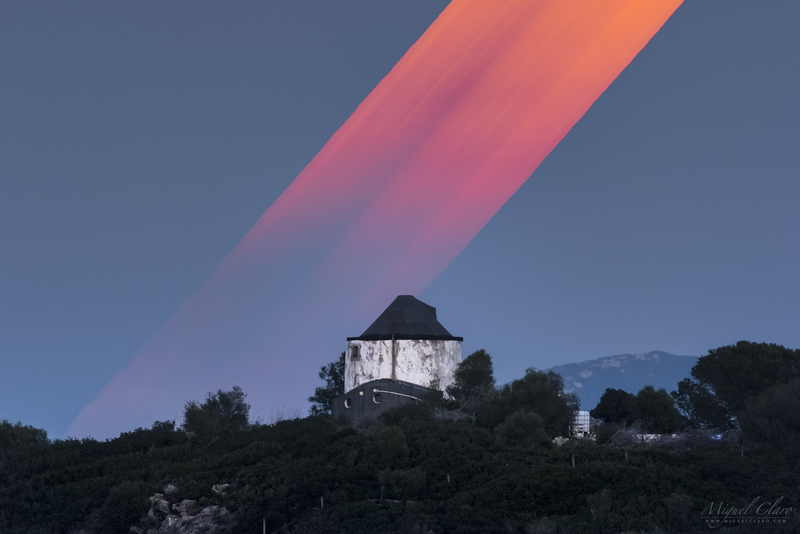 Sum of 57 images, in a total integration of 5 minutes. 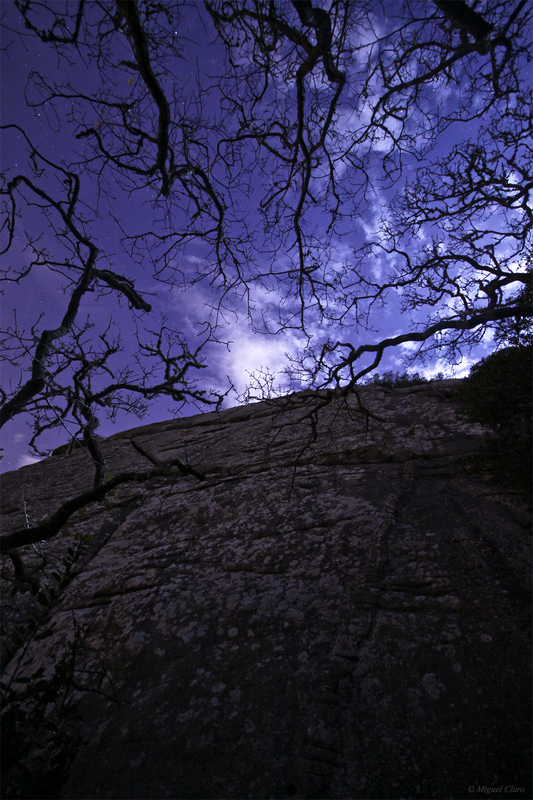 Image taken in 29/10/2011 at 19h30. 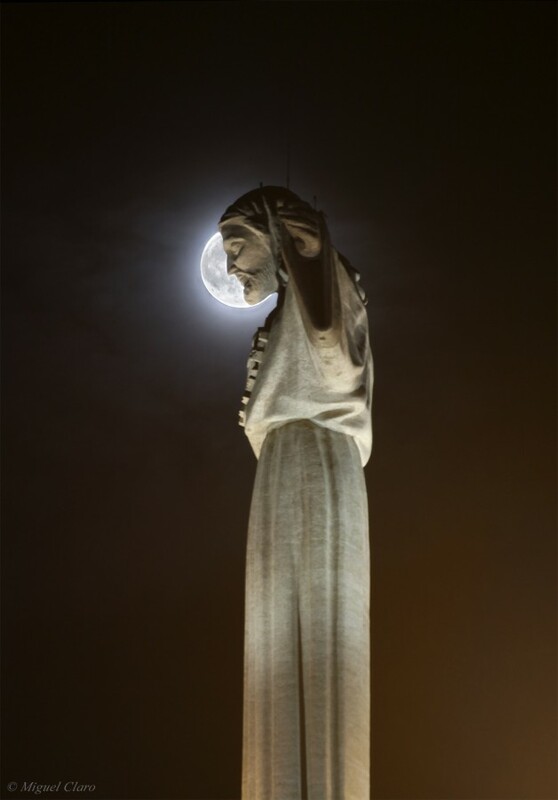 Lua Cheia por detrás do monumento católico Cristo Rei situado em Almada. Inaugurado em 17 de Maio de 1959 e inspirado no Cristo Redentor do Brasil. 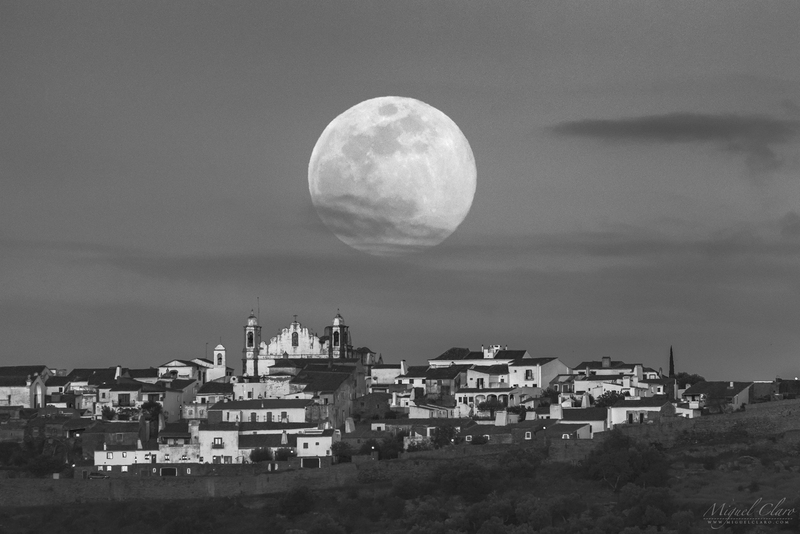 Foi mandado construir pelo presidente Salazar. 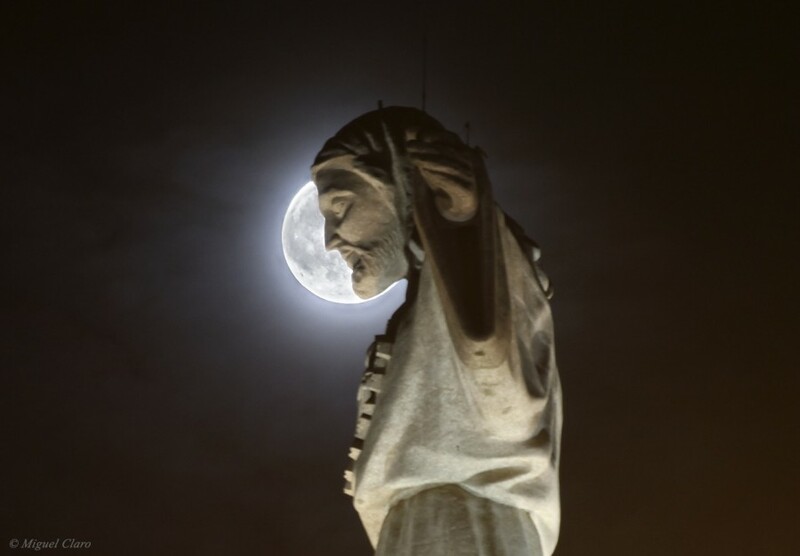 A base de 75 metros de altura foi desenhada pelo arquitecto António Lino e o Cristo de 28 metros de altura, desenhado pelo escultor Francisco Franco de Sousa. 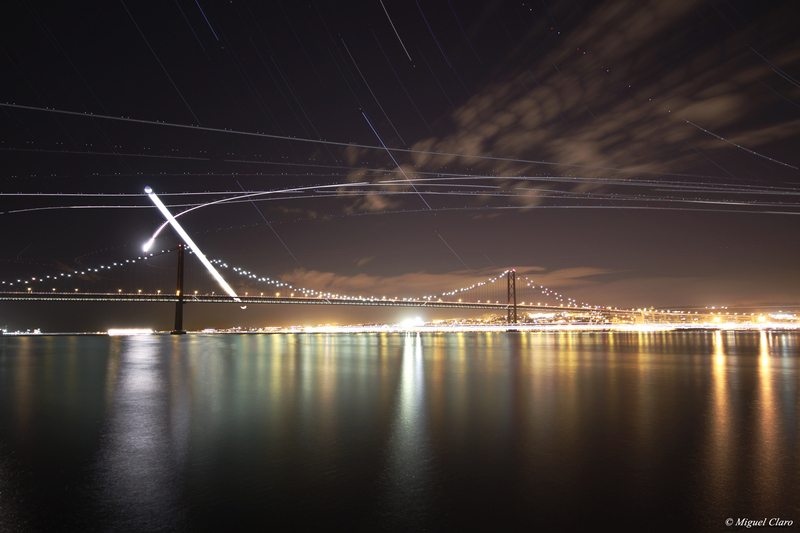 Na base do Cristo Rei econtra-se um miradouro a 168 metros do nível da água com uma vista panorâmica sobre Lisboa, o rio Tejo e a ponte 25 de Abril. 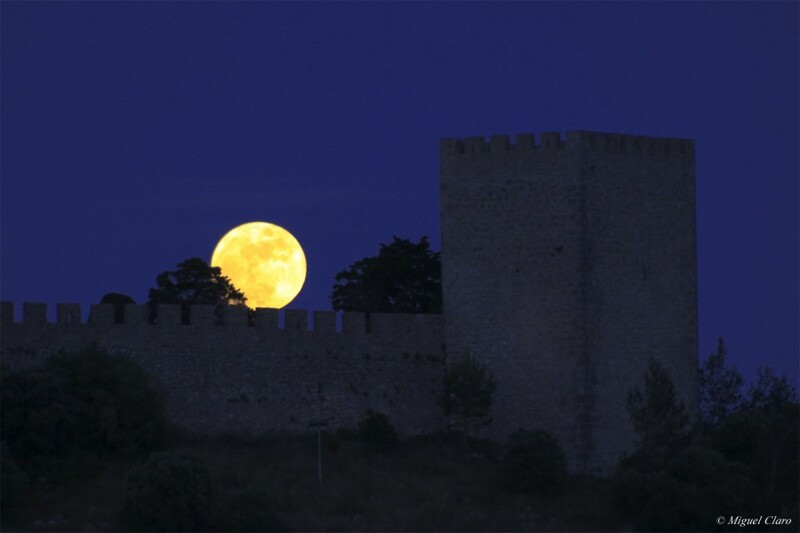 Nascer da Lua Cheia por de trás das muralhas do Castelo de Sesimbra no dia 27-05-2010.
magens obtidas nas muralhas do Castelo de São Jorge, apanhando parte da cidade e baixa de Lisboa. 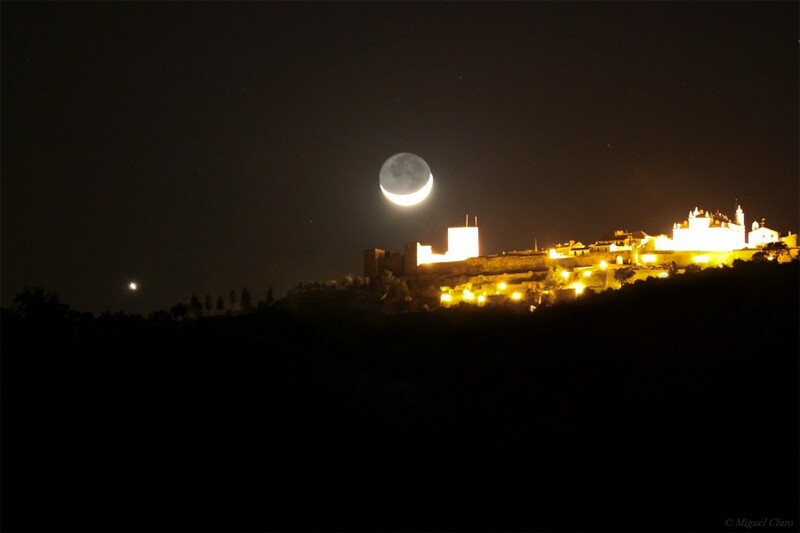 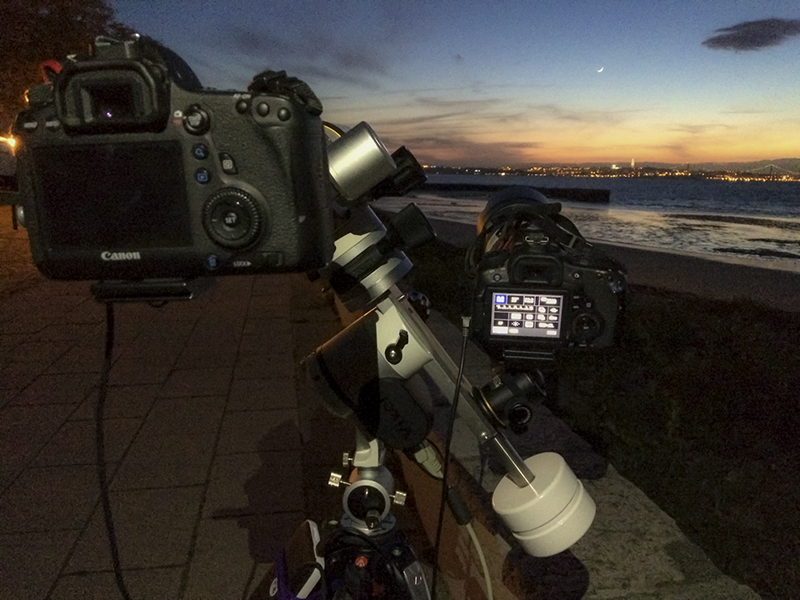 No céu, pode ser apreciado um Earthshine lunar numa conjunção entre Vénus e a Lua..
Imagem do movimento das estrelas registado ao longo da noite de 05 para 06 de Abril de 2010 entre as 00h23 e as 00h43. 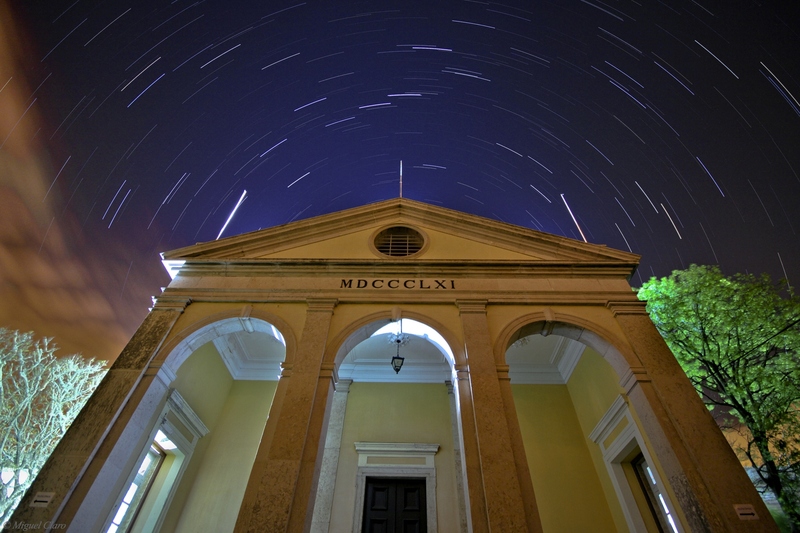 Para o resultado final foi feita uma soma manual de 38 imagens no CS3 cada uma de 30 segundos, totalizando uma integração de 20 minutos, com uma Canon 50D a uma abertura F-4 a ISO 1000, com uma Lente Sigma HSM EX a 10mm. 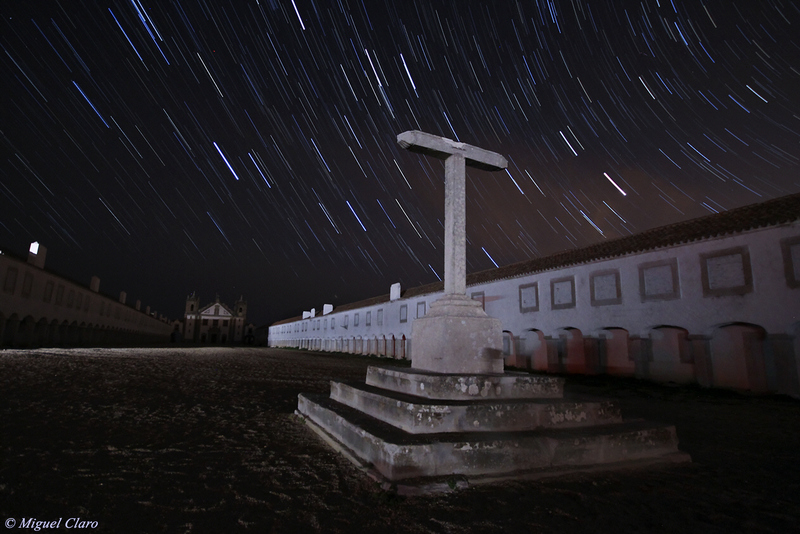 Imagem obtida no Convento do Cabo Espichel. Imagem do céu estrelado no convento do Cabo Espichel. 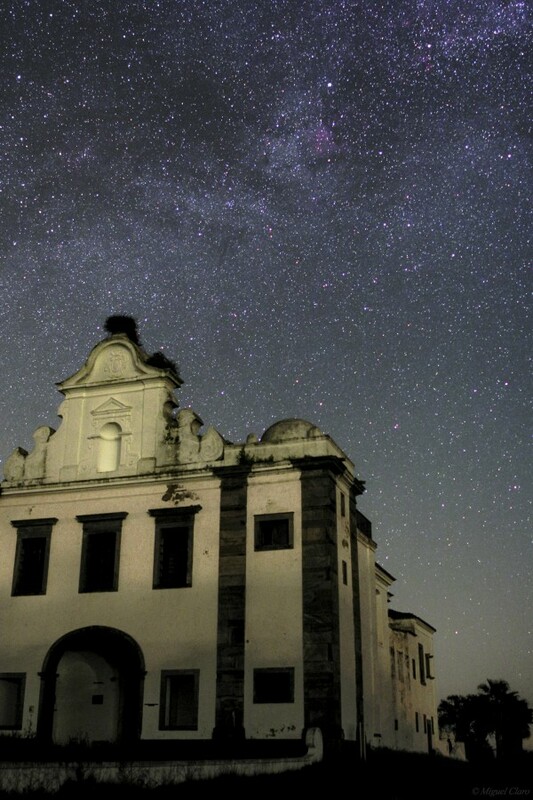 Na imagem de baixo pode ver-se a identificação das respectivas constelações.